SUPER RARE 1963 ORIGINAL STEREO SURF LP PRESSED ON BEAUTIFUL MULTI-COLOR VINYL! THE COVER IS A STRONG EX+, NO SPLITS OR WRITING! THE CONDITION OF THE STEREO, MULTI-COLOR VINYL DISC IS M- WITH FULL BRILLIANT GLOSS AND IT PLAYS BEAUTIFULLY! UNFORTUNATELY THE PRINT ON BOTH LABELS IS VERY FAINT, OTHERWISE THE DISC IS BEAUTIFUL! HARD TO FIND IN THIS TOP NICK!! RICHIE ALLEN- STRANGER FROM DURANGO (STILL SEALED) MONO! SUPER RARE 1963 ORIGINAL U.S. MONO PRESSING...STILL SEALED!! NO CUT-OUT SEAM SPLITS OR WRITING! MINOR TEARS IN THE SHRINK, OTHERWISE IT'S PERFECT!! ULTRA RARE 1966 ORIGINAL PRESSING ON THE MARK 56 RECORDS LABEL IN TOP COLLECTOR CONDITION! 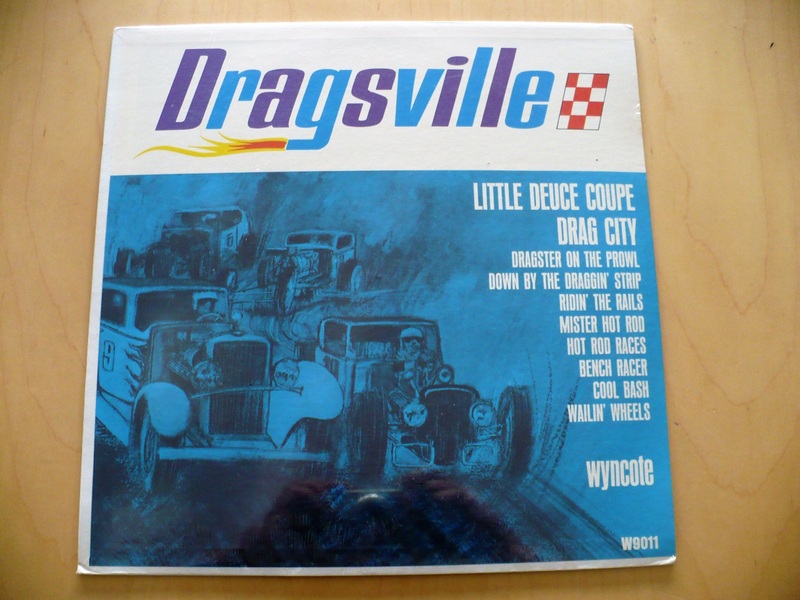 THE COVER IS M- STILL IN THE ORIGINAL SHRINK WRAP, NO SEAM SPLITS OR WRITING! THE CONDITION OF THE DISC IS ALSO M- WITH FULL BRILLIANT GLOSS! STUNNING COPY OF THIS RARE SURF MONSTER!! SUPER RARE 1966 ORIGINAL HARD TO FIND AND SUPERIOR SOUNDING STEREO COPY OF GREAT U.S. GARAGE PUNKS! COVER IS M- STILL IN THE SHRINK! DISC IS ALSO M-! MEGA RARE 1966 ORIGINAL GERMANY FONTANA STEREO PRESSING! COVER IS EX+! DISC IS A BEAUTIFUL M-! KILLER 1966 SNOTTY GARAGE PUNK/BEAT LP...HAS ALWAYS BEEN RARE AND THIS EXAMPLE IS IN STUNNING NICK! 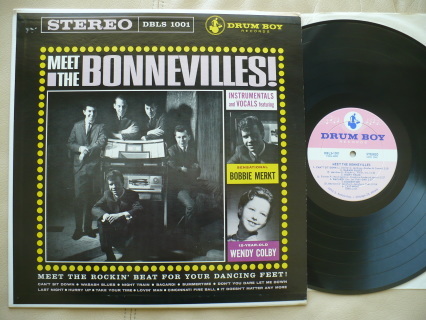 THE BONNEVILLES- MEET THE BONNEVILLES! 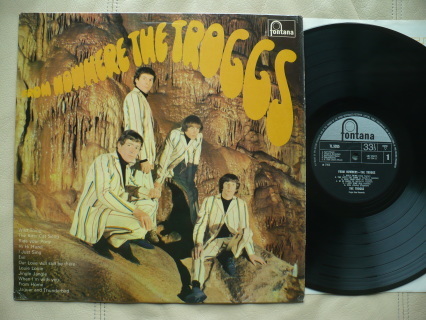 RARE 1963 ORIGINAL PRESSING IN THE MUCH HARDER TO FIND STEREO MIX! THE COVER IS A NICE EX+, JUST A FEW TINY PIN HOLES IN THE UPPER LEFT CORNER, NO SPLITS OR WRITING. THE CONDITION OF THE DISC IS A BEAUTIFUL, LIKE NEW M-, IT LOOKS UNPLAYED! 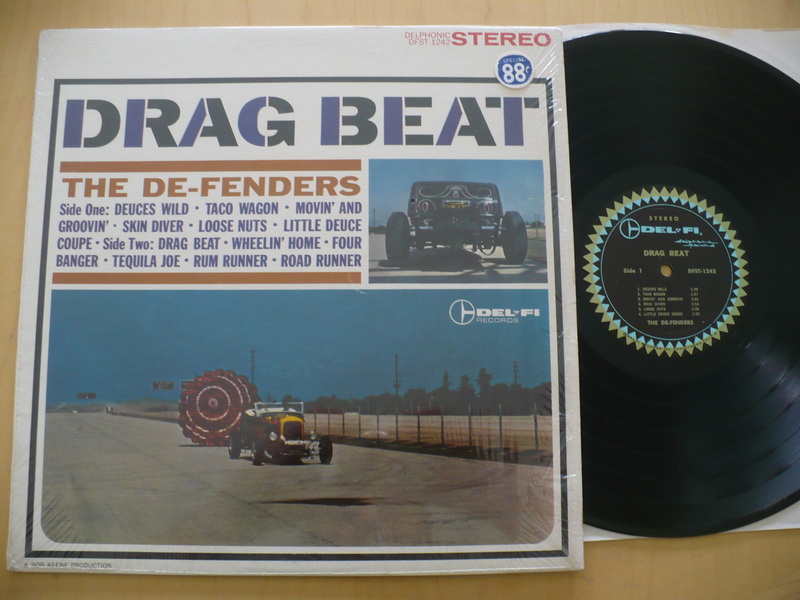 EXCELLENT STOMPIN' BEAT GARAGE WITH LOTS OF TWANGY AND REVERB SOAKED GUITAR! QUITE HARD TO FIND AND THIS EXAMPLE IS TOPS! 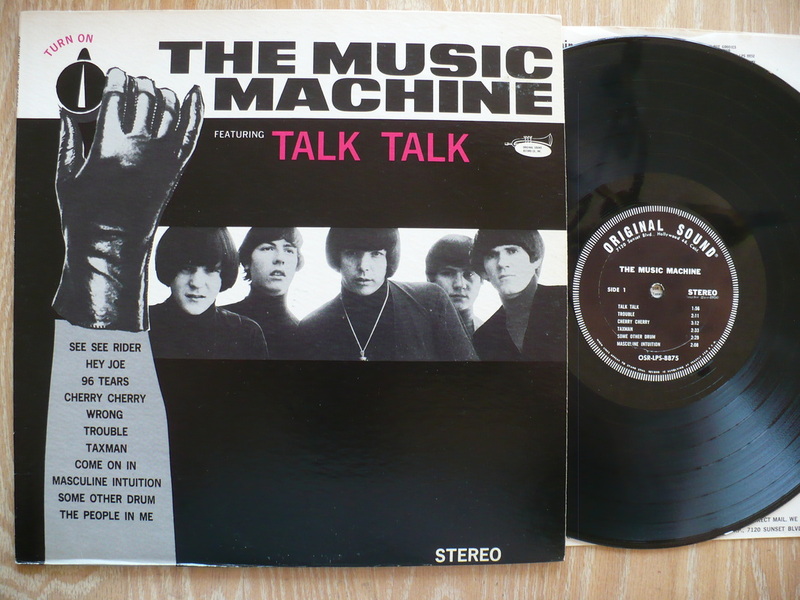 RARE 1965 ORIGINAL MONO PRESSING ON THE VAULT RECORDS 109 LABEL. THE COVER IS A VERY NICE EX+ STILL IN THE SHRINK WRAP! THERE IS A SMALL CORNER DING AT THE TOP LEFT, OTHERWISE THE COVER IS BEAUTIFUL! THE CONDITION OF THE DISC IS ALSO A GORGEOUS EX+, VERY CLOSE TO MY TOP M- GRADE, AND IT PLAYS GREAT IN THE ORIGINAL MONO MIX! PROBABLY THEIR HARDEST ALBUM TO FIND! TOP COPY! 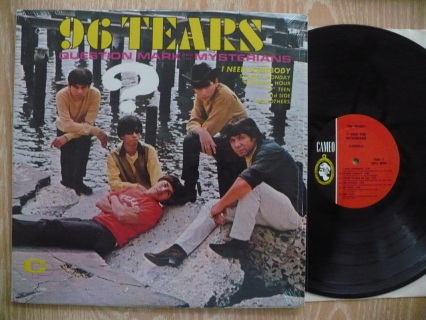 SUPER RARE 1964 ORIGINAL MONO "PROMO" LP AND THIS EXAMPLE IS STILL SEALED!!! THERE IS A SMALL LOWER RIGHT CORNER DING OTHERWISE IT'S A TOP COPY! HAS THE "PROMO" PERFORATION ON THE TOP RIGHT CORNER! 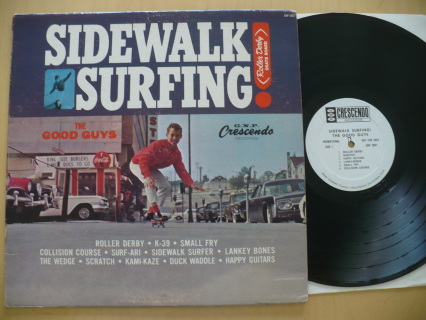 EXCELLENT SURF INSTRUMENTALS FEATURING L.A.'S TOP STUDIO MUSICIANS OF THE DAY aka "THE WRECKING CREW"! SUPER RARE TODAY AS A SEALED PROMO! 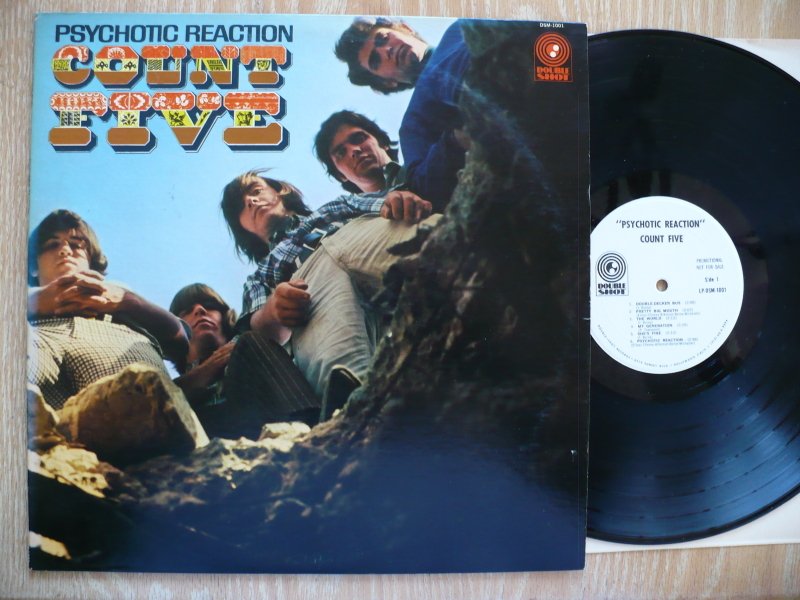 COUNT FIVE- PSYCHOTIC REACTION W.L. PROMO! 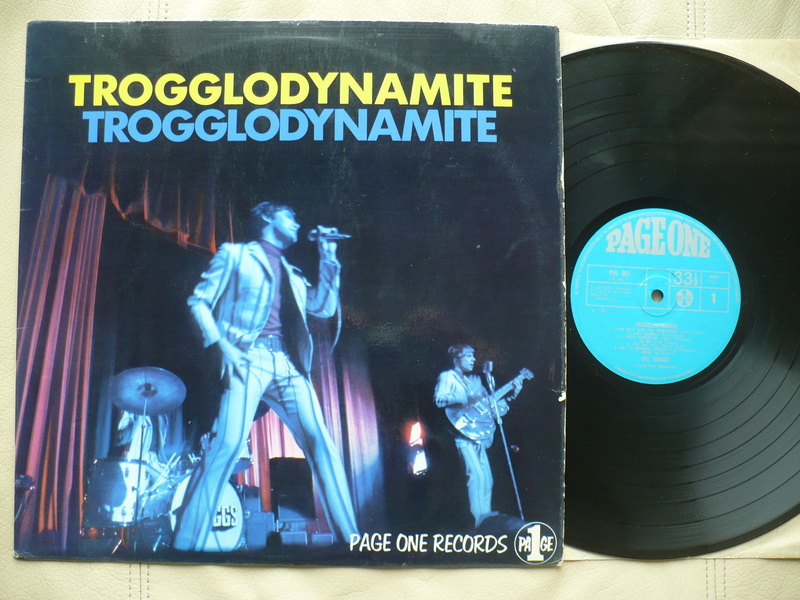 1966 ORIGINAL WHITE LABEL PROMO PRESSING OF SNOTTY GARAGE PUNK LP! COVER IS A STRONG EX WITH A PROMO STAMP ON THE BACK COVER. ALSO HAS A LIGHT STAIN ON THE REAR COVER. THE DISC IS A BEAUTIFUL M- AND LOOKS VIRTUALLY UNPLAYED! ONLY WHITE LABEL PROMO COPY OF THIS I'VE SEEN IN OVER 30 YEARS OF COLLECTING! 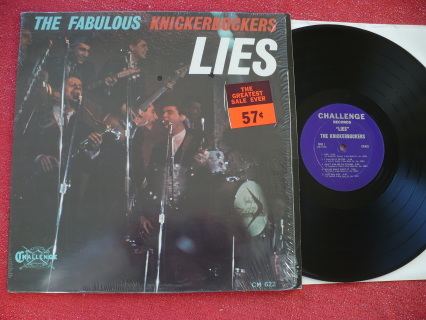 UNBELIEVABLE, PERFECT STILL SEALED ORIGINAL FIRST PRESSING FROM 1962! ABSOLUTELY GROUNDBREAKING AND LEGENDARY SURF ROCK LP...THE FIRST SURF ALBUM EVER! 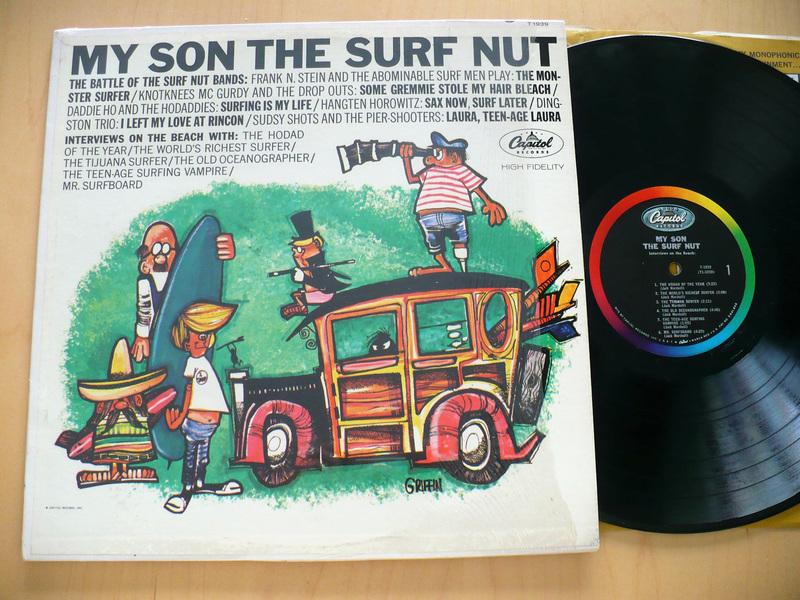 ESSENTIAL TO ANY SURF COLLECTION!MUSEUM PIECE HERE! ULTRA RARE 1966 SWEDISH GARAGE PUNK STOMPER! COVER IS A STRONG EX+! DISC IS ALSO A VERY CLEAN EX AND PLAYS GREAT, LOUD AND CLEAR! MUCH RARER THAN YOU THINK ESPECIALLY IN THIS NICE NICK! 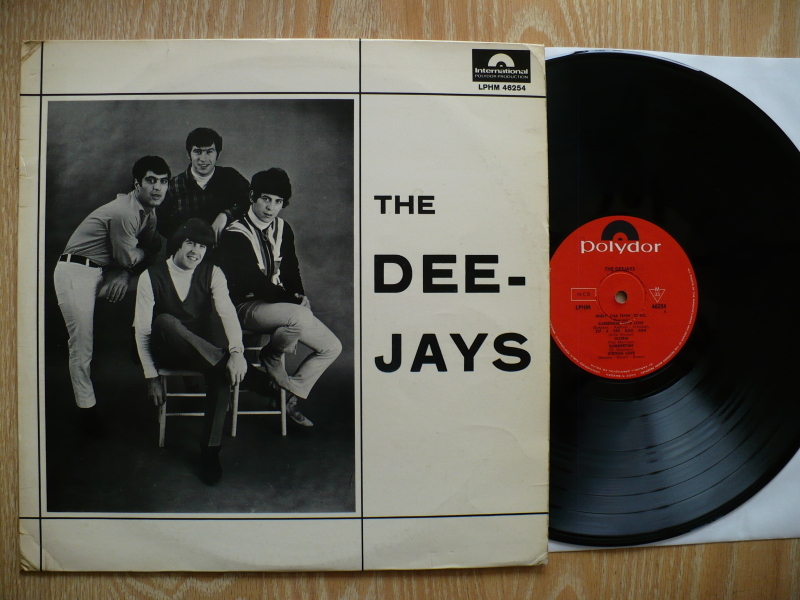 RARE 1963 ORIGINAL STEREO PRESSING ON THE DEL-FI RECORDS DFST-1242 LABEL. THE CONDITION OF THE COVER IS M- STILL IN THE ORIGINAL SHRINK WRAP WITH THE ORIGINAL 88c PRICE STICKER!! NO SEAM SPLITS OR WRITING. 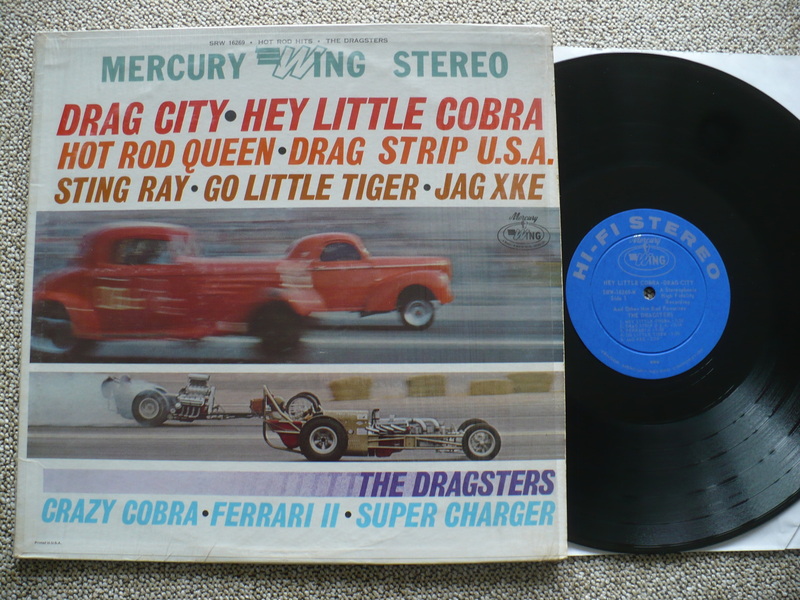 THE CONDITION OF THE RARE STEREO DISC IS SUPER CLEAN EX+ AND IT PLAYS GREAT IN THE MUCH RARER STEREO MIX! TOP COPY!! 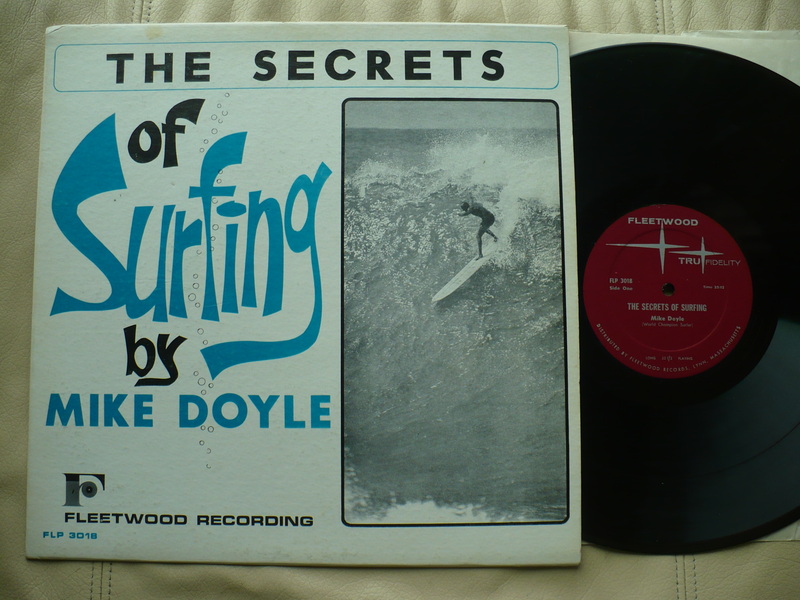 ULTRA RARE 1967 ORIGINAL "HOW TO" SURF ALBUM ON THE FLEETWOOD FLP 3018 LABEL. THE COVER IS A NICE VG+, MILD WEAR AND A 3" TOP CENTER SPLIT. THE DISC IS A GORGEOUS, LIKE NEW M-! 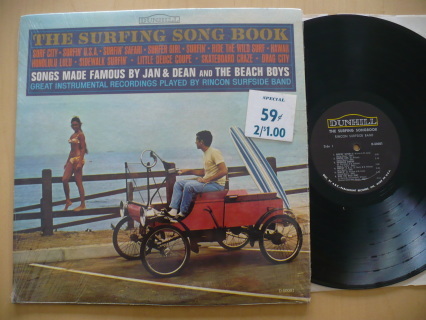 RARE 1964 ORIGINAL SURF/HOT ROD ALBUM IN TOP COLLECTOR CONDITION! THE COVER IS M- STILL IN THE SHRINK WRAP! THE STEREO DISC IS ALSO M-! I BELIEVE THIS IS ANOTHER OF THE GARY USHER INVOLVED PROJECTS OF THE EARLY SIXTIES BUT THERE IS NO CREDIT ON THE COVER OR THE LABELS. TOP COPY AND VERY HARD TO FIND IN STEREO! ANOTHER OBSCURE TITLE ON THE COLLECTIBLE JUSTICE RECORDS LABEL IN TOP NICK! THE COVER IS A STRONG EX+ WITH JUST A HINT OF WEAR, NO SPLITS OR WRITING! THE DISC IS A GORGEOUS, SHINY, LIKE NEW M-! TOP COPY!! 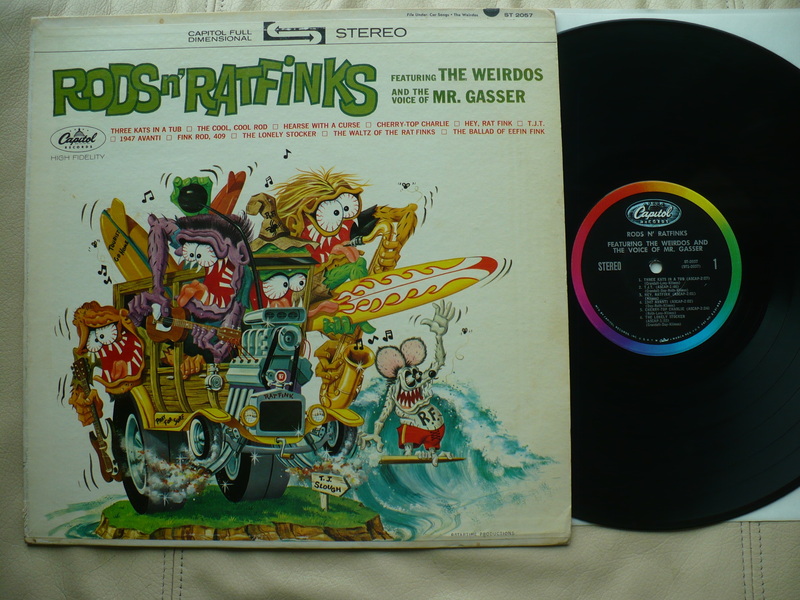 RARE 1963 ORIGINAL STEREO PRESSING HOUSED IN A COVER FEATURING THE ART WORK OF ED "BIG DADDY" ROTH. THE COVER IS ABOUT VG AS THERE IS CLEAR TAPE ON THE TOP AND BOTTOM SEAMS AND SOME FRAYING ON THE SPINE. OVERALL NOT TOO MUCH WEAR TO THE COVER ART! 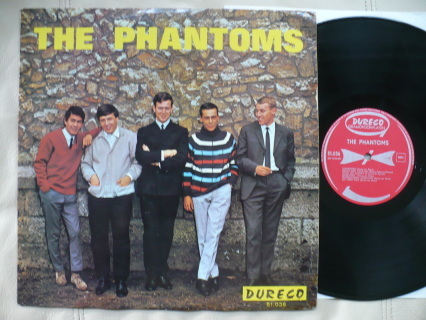 THE DISC IS A NICE VG+ TO EX AND PLAYS GREAT IN THE SCARCE STEREO MIX! 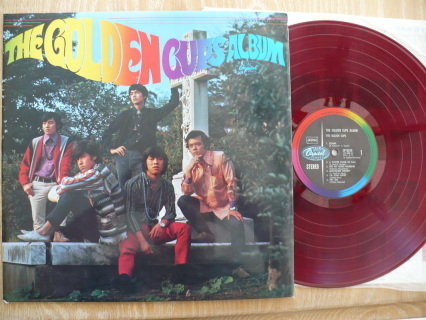 VERY RARE 1968 ORIGINAL FIRST PRESSING ON RED VINYL OF KILLER FUZZED OUT JAPAN GARAGE ROCK! KILLER OVER THE TOP COVER OF 'HEY JOE' HAS TO BE HEARD TO BE BELIEVED! THE CONDITION OF THE ORIGINAL GATEFOLD COVER WITH INNER PAGE IS M-! THE CONDITION OF THE RED VINYL DISC IS ALSO M-! RARE 1964 ORIGINAL MONO WHITE LABEL PROMO ISSUE ON THE GNP CRESENDO LABEL. THE CONDITION OF THE COVER IS A NICE VG+! THE CONDITION OF THE WHITE LABEL PROMO DISC IS A BEAUTIFUL M-! MUCH HARDER TO FIND AS A PROMO THAN YOU THINK AND THIS EXAMPLE IN SWEET! 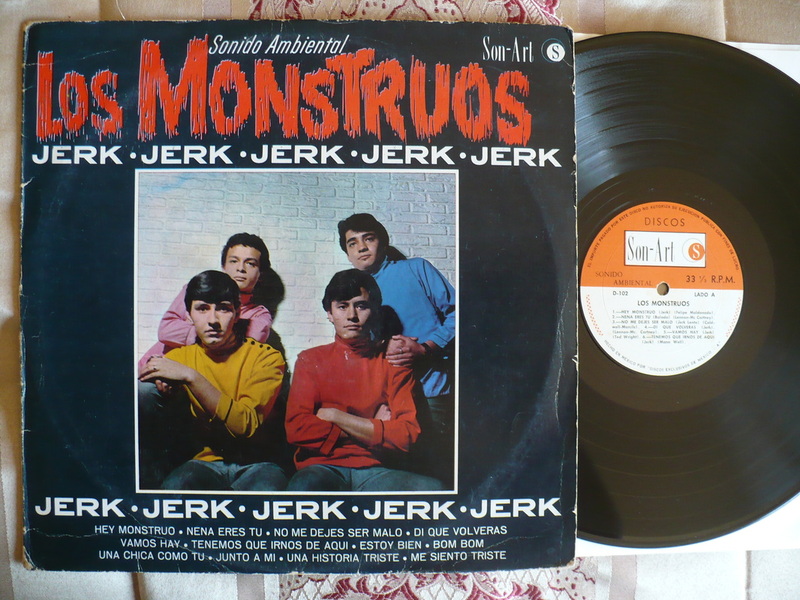 ULTRA RARE 1967 ORIGINAL CANADIAN GARAGE PSYCH MONSTER ON THE TRANS WORLD LABEL IN NICE KEEPER CONDITION! THE COVER IS A NICE VG+ WITH A FAINT "$1.00" STAMP IN THE UPPER RIGHT CORNER. THERE ARE NO SEAM SPLITS OR WRITING. THE DISC IS ABOUT VG+. 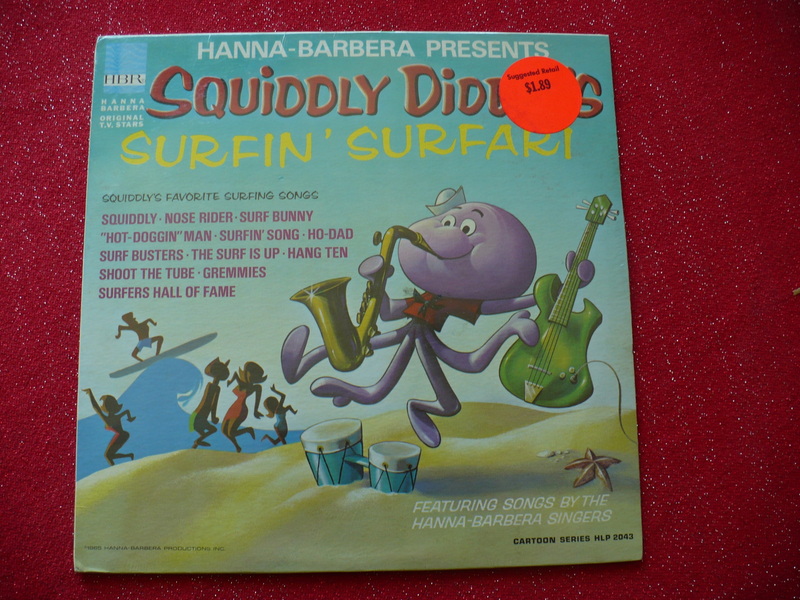 THERE ARE LIGHT SLEEVE SCUFFS PRESENT AND A LONGER SUPERFICIAL MARK ON SIDE TWO THAT YOU CAN SEE BUT NOT FEEL OR HEAR. OVERALL A NICE PLAYING COPY AND RAPIDLY DISAPPEARING! 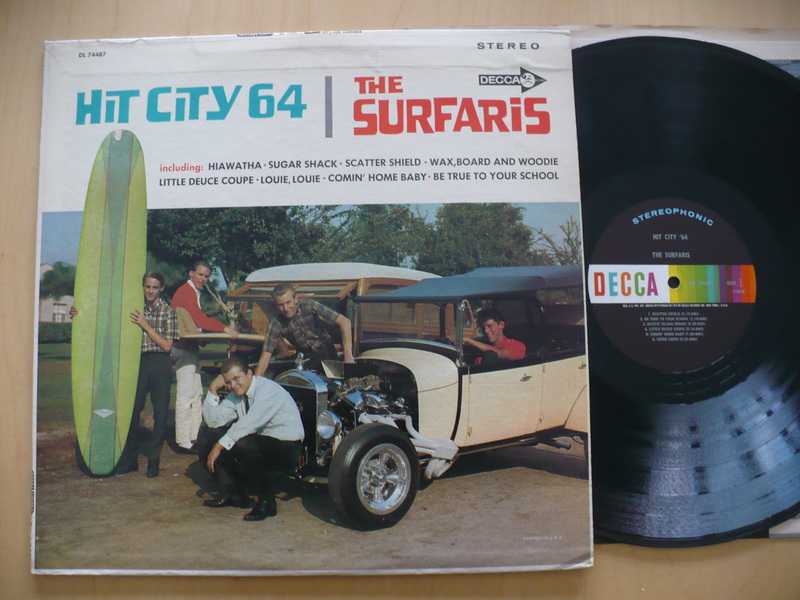 ULTRA RARE 1965 ORIGINAL SURF/HOT ROD LP IN TOP COLLECTOR CONDITION. THE CONDITION OF THE COVER IS A STRONG EX, NO SPLITS OR WRITING! THE CONDITION OF THE DISC IS A GORGEOUS EX+, VERY CLOSE TO MY TOP M- GRADE, WITH FULL BRILLIANT GLOSS AND IT PLAYS GREAT! 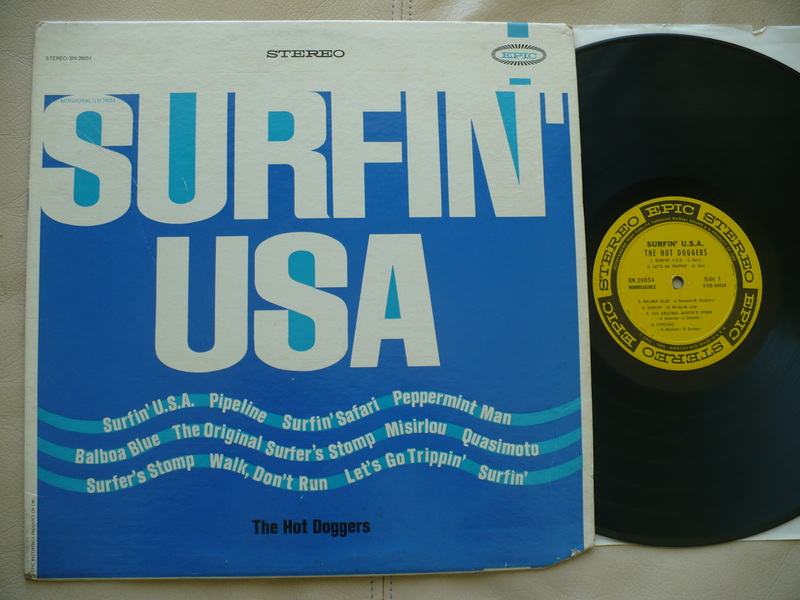 THE HOT DOGGERS- SURFIN' U.S.A.
SUPER RARE 1963 ORIGINAL SURF LP ON THE SCARCE STEREO EPIC RECORDS LABEL. THE COVER IS VG+ WITH A CUT CORNER AND A FEW, HARD TO SEE, LIGHT SCRATCHES ON THE FRONT COVER. 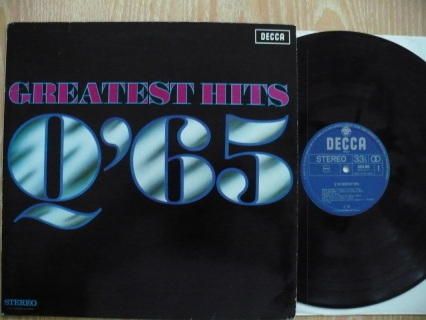 THE DISC IS ALSO A DECENT VG+ AND IT PLAYS MOSTLY WELL IN THE ORIGINAL STEREO MIX! 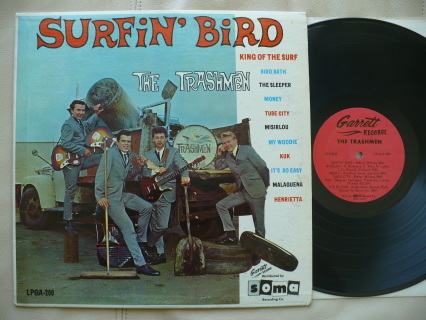 TERRY MELCHER, BRUCE JOHNSTON AND TOP SESSION PLAYERS TEAR UP SOME SURF STANDARDS! 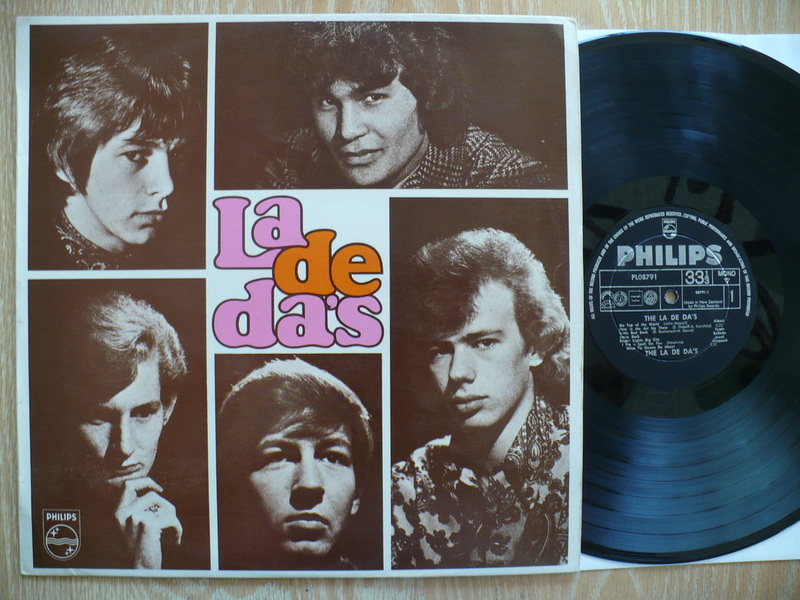 ULTRA RARE, GREAT AND LEGENDARY 1966 DUTCH BEAT GARAGE PUNK RARITY IN NICE KEEPER CONDITION! THE COVER IS A STRONG EX+ WITH ONLY A TINY NAME ON THE BACK COVER KEEPING IT FROM MY TOP M- GRADE! THE CONDITION OF THE ORIGINAL MONO DISC IS A NICE VG+ WITH ONLY LIGHT SLEEVE SCUFFS PRESENT AND IT PLAYS MOSTLY EX OR BETTER! ALSO INCLUDES THE ORIGINAL PHILIPS RECORDS INNER SLEEVE! 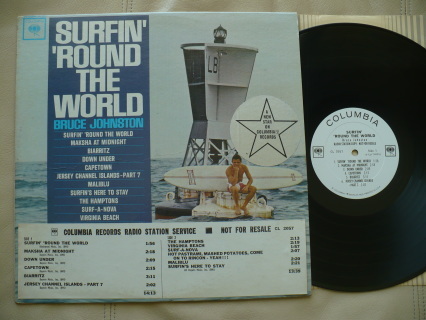 This item is a rare white label promotional record album released in 1963 on Columbia Records by Bruce Johnston entitled ‘Surfin Round The World’. Bruce later went on to become a member of The Beach Boys. Record label and number is Columbia Records CL 2057. Record itself is in very strong VG+ condition with just some light rub marks probably made from taking the record in and out of the paper inner sleeve. 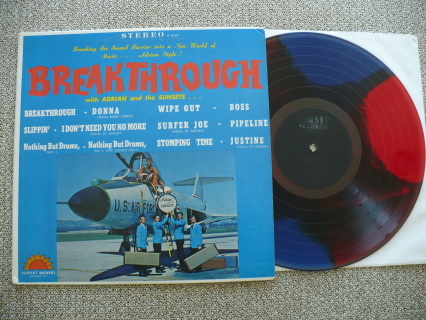 Record has great gloss and shine with no scratches or marks. White promo labels are also in great condition with little if any spindle marks and no handwriting. Labels have print on them that states ‘Radio Station Copy - Not For Resale’. Record cover is in excellent condition and there are no seam splits or writing (see photo). 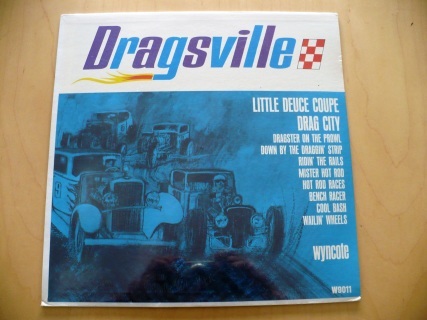 Cover has a DJ time strip on the front. Original Columbia Records inner sleeve is included. See photos for song titles. This rare record from 1963 is hard to find in any condition let alone a white label promotional LP in this kind of condition! 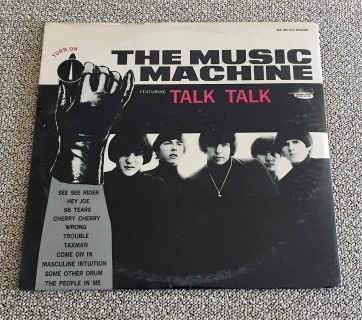 RARE 1964 ORIGINAL MONO PRESSING...STILL SEALED! THE KICKSTANDS WERE GARY USHER AND THE "WRECKING CREW" INCLUDING JERRY COLE, HAL BLAINE, EARL PALMER, LEON RUSSELL, GLEN CAMPBELL, AND WITH CHUCK GIRARD HANDLING MOST OF THE VOCALS. 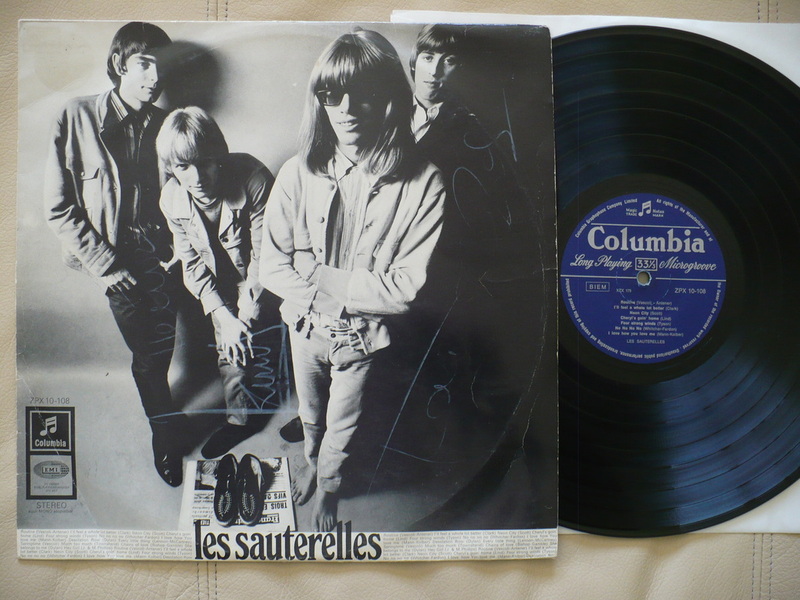 THIS IS A PERFECT, STILL SEALED ORIGINAL MONO PRESSING WITH THE BONUS PHOTO INSERT CLEARLY VISABLE! NO CUT-OUTS, SEAM SPLITS OR WRITING! TOP COPY!! RARE 1963 ORIGINAL PRESSING ON THE BLACK KING RECORDS LABEL IN TOP COLLECTOR CONDITION! THE COVER IS M- STILL IN THE ORIGINAL SHRINK WRAP, NO SPLITS OR WRITING! THE CONDITION OF THE ORIGINAL MONO DISC IS ALSO A BEAUTIFUL M-! TOP COPY!! RARE 1966 ORIGINAL MONO WHITE LABEL PROMO COPY! THE CONDITION OF THE COVER IS A NICE EX WITH AN "AUDITION RECORD" STAMP ON THE BACK COVER! THERE ARE NO SEAM SPLITS OR WRITING ON THE COVER. THE CONDITION OF THE MONO WHITE LABEL PROMO DISC IS A VERY NICE EX+! KILLER 'BEATLES' LIKE MID 60'S BEAT!! 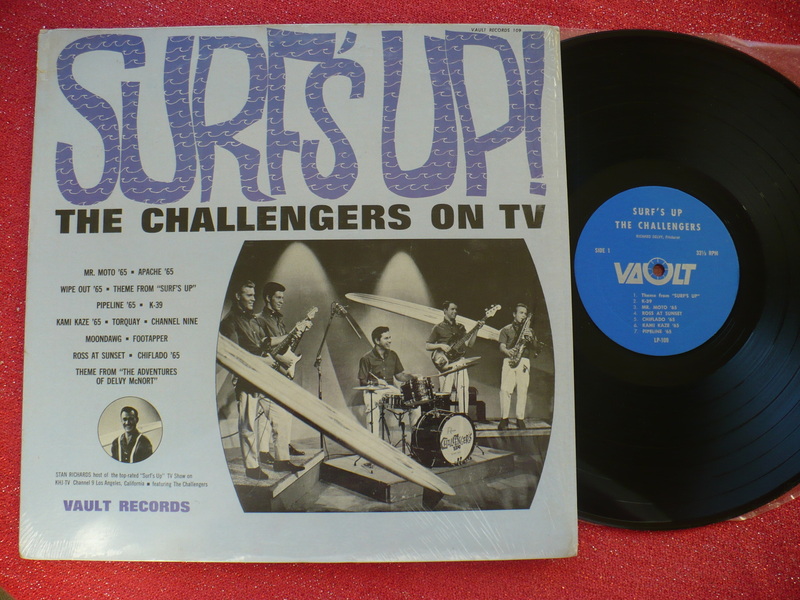 RARE 1966 ORIGINAL MONO PRESSING ON THE CHALLENGE RECORDS CH 622 LABEL IN ABSOLUTE TOP ARCHIVE CONDITION! THE COVER IS M- STILL IN THE ORIGINAL SHRINK WRAP, NO SPLITS OR WRITING! THERE IS A 57c PRICE STICKER ON THE FRONT COVER (OH, THOSE WERE THE DAYS!). THE DISC IS A STUNNING BEAUTIFUL M- WITH FULL BRILLIANT GLOSS AND IT PLAYS NEARLY PERFECT IN THE ORIGINAL MONO MIX!! TOP COPY!! 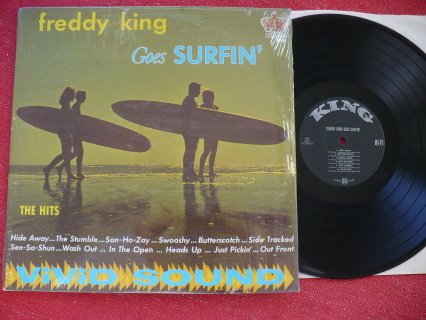 HARD TO FIND 1964 ORIGINAL STEREO PRESSING OF THIS EXECELLENT AND RARE GARY USHER RELATED SURF/HOT ROD LP. THE COVER IS A STRONG EX+ WITH A TINY DRILL HOLE IN THE UPPER LEFT CORNER, NO SEAM SPLITS OR WRITING! THE DISC IS ALSO A VERY CLEAN EX+ WITH A FEW LIGHT SLEEVE SCUFFS. 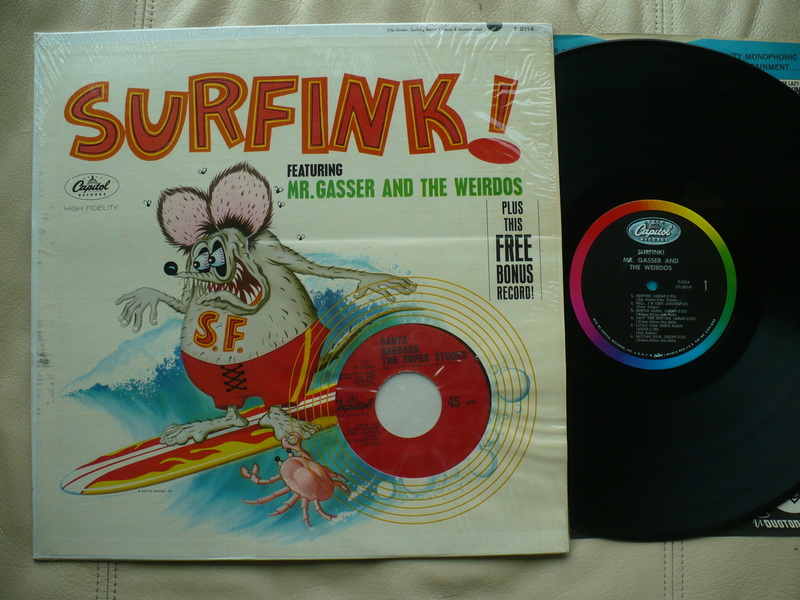 THE VINYL STILL EXHIBITS A HIGH GLOSS AND IT PLAYS GREAT IN THE RARE STEREO MIX! NICE KEEPER COPY!! SUPER RARE 1966 ORIGINAL NEW ZEALAND MONO PRESSING ON THE BLACK PHILIPS LABEL. 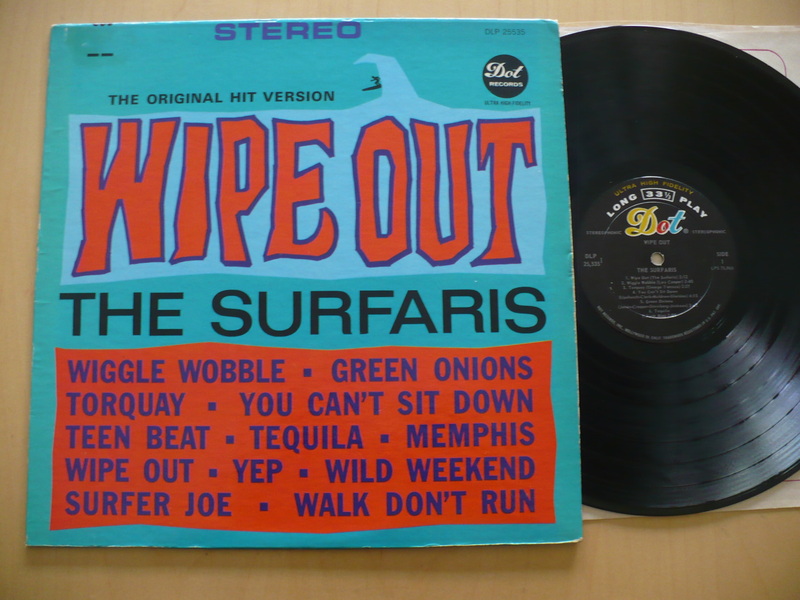 THE CONDITION OF THE ORIGINAL "FLIP BACK" COVER IS M-! THE DISC IS VG++ AND PLAYS GREAT! 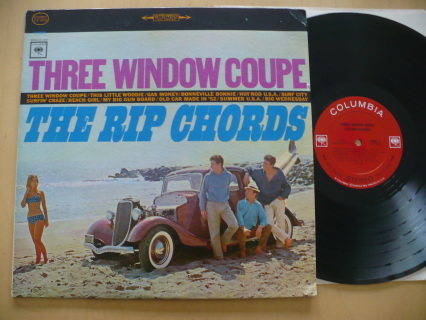 EXCELLENT 60'S GARAGE/BEAT LP! 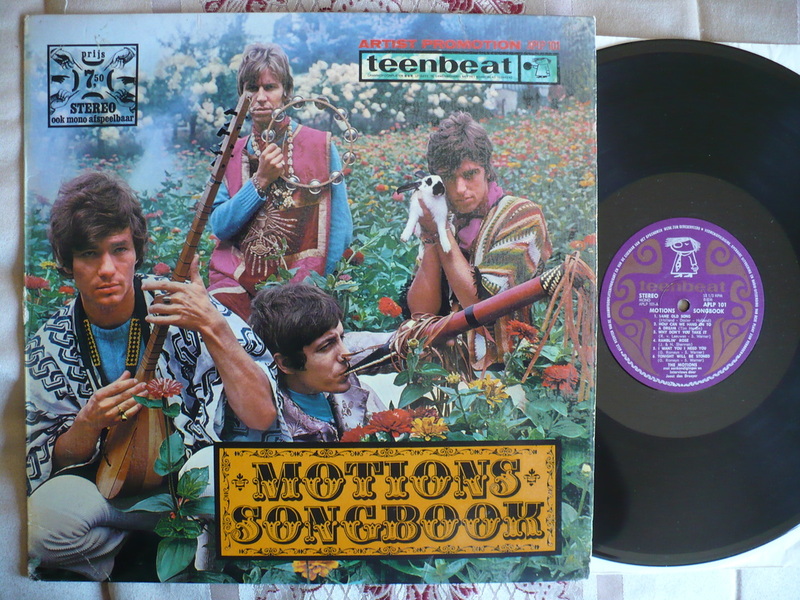 RARE 1967 FOLLOW UP LP ALSO PRESSED ON THE ORIGINAL BLACK NEW ZEALAND PHILIPS MONO LABEL! THE ORIGINAL HEAVY, TEXTURED COVER IS M- WITH NO SEAM SPLITS OR WRITING! THE DISC IS VG TO VG+ AND PLAYS MOSTLY EX OR BETTER! 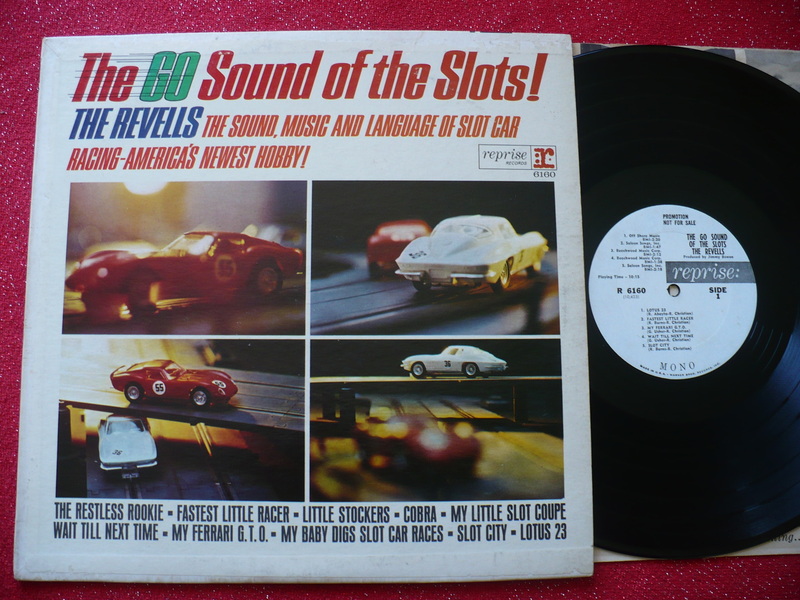 RARE 60'S GARAGE/BEAT/MOD LP!! 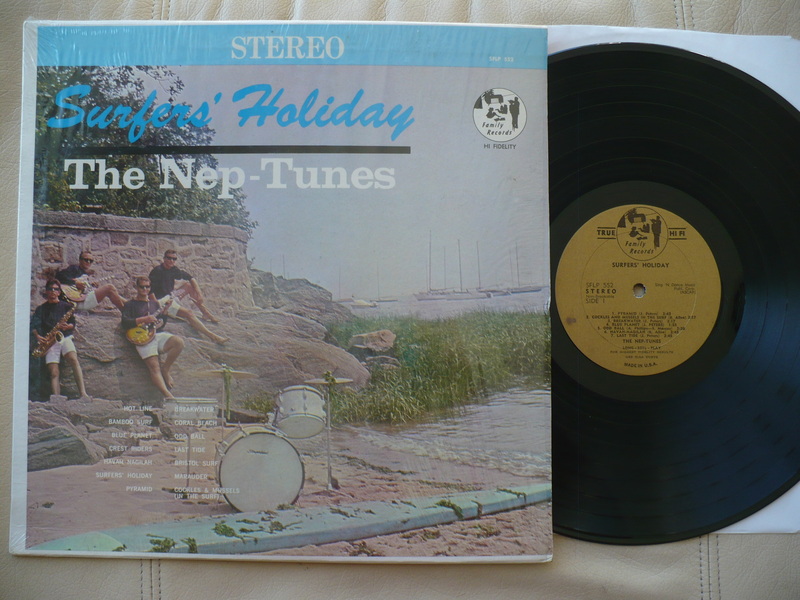 RARE 1966 NEW ZEALAND GARAGEY BLUES LP! COVER IS VG+. THE DISC IS VG TO VG+ AND PLAYS FINE! VERY RARE!! 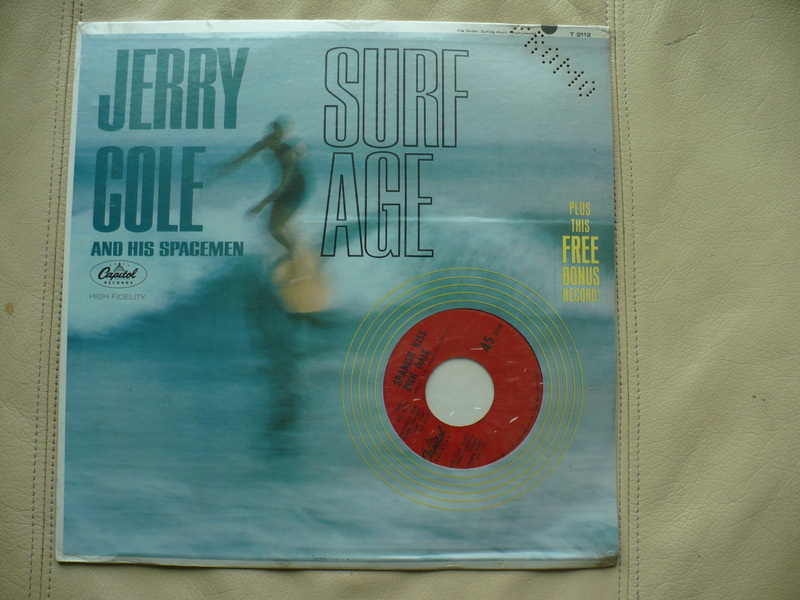 SUPER RARE 1966 ORIGINAL MONO WHITE LABEL PROMO COPY OF THE ALL-TIME CALIFORNIA GARAGE/FOLK/PSYCH CLASSIC! THE COVER IS EX WITH "KIMN" WRITTEN ON THE BACK COVER. THE DISC IS A SUPER CLEAN EX AND PLAYS BEAUTIFULLY! 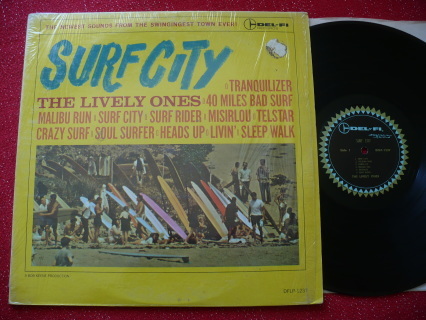 RARE 1963 ORIGINAL SURF LP ON THE MONO DEL-FI RECORDS LABEL IN TOP CONDITION! THE COVER IS M-, STILL IN THE ORIGINAL SHRINK WRAP! THE DISC IS A BEAUTIFUL EX+, CLOSE TO MY TOP M- GRADE, AND IT PLAYS BEAUTIFULLY IN THE ORIGINAL MONO MIX! 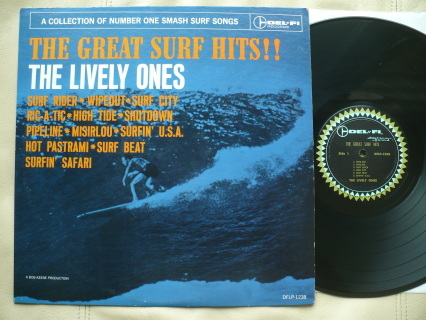 THE LIVELY ONES- THE GREAT SURF HITS!! RARE 1963 ORIGINAL MONO FIRST PRESSING ON THE DEL-FI RECORDS LABEL. THE CONDITION OF THE COVER IS A CONSERVATIVE EX+, VERY CLOSE TO MY TOP M- GRADE! THE DISC IS A SPARKLING, SHINY CLEAN M- AND PLAYS BEAUTIFULLY IN THE ORIGINAL MONO MIX! TOP COPY!! 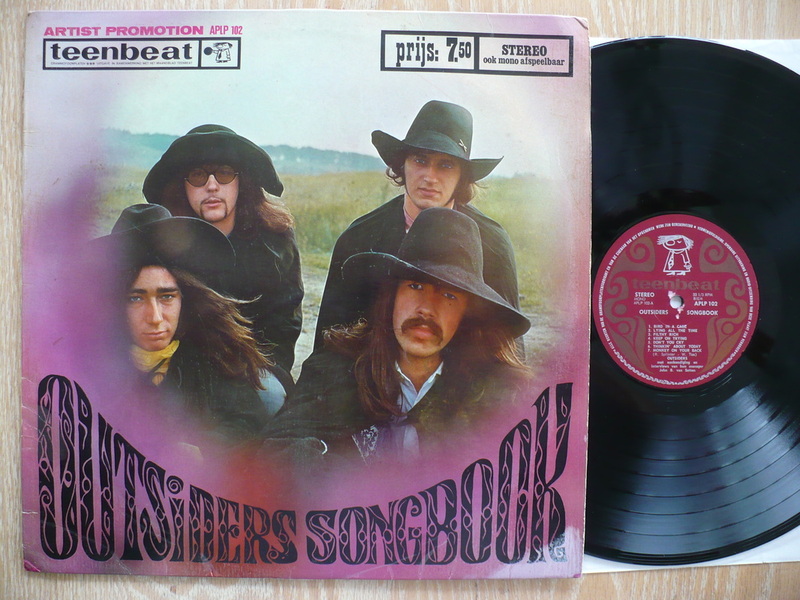 SUPER RARE AND GREAT 1969 ORIGINAL CZECH FIRST PRESSING OF EXCELLENT FUZZ GARAGE/BEAT LP! 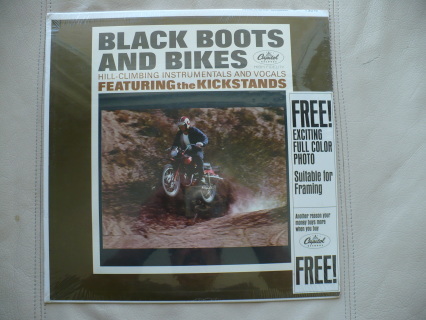 SOUNDS ABOUT 4-5 YEARSBEHIND THE TIMES BUT QUITE EXCELLENT GARAGE SOUNDS WITHIN! THE "BACK-FLAPS" COVER IS VG++ AND THERE ARE NO SEAM SPLITS OR WRITING! THE DISC IS A NICE VG+ AND PLAYS GREAT! 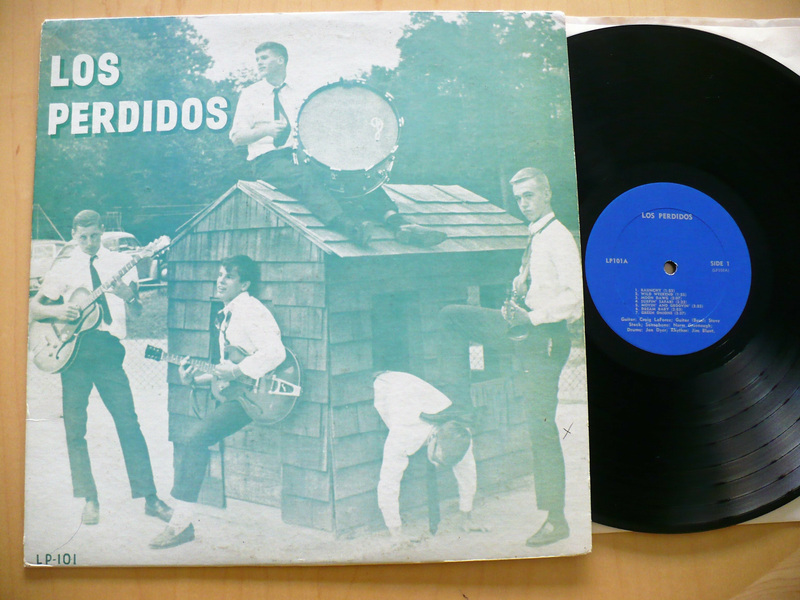 ULTRA RARE 1966 ORIGINAL GEMANY POLYDOR PRESSING OF U.S. GI's STATIONED IN GERMANY GARAGE PUNK CLASSIC! THE CONDITION OF THE COVER IS VG++. THE DISC IS A NICE VG+ AND PLAYS MOSTLY EX OR BETTER! MEGA RARE 1966 MEXICAN GARAGE ROCK LP ON THE ORIGINAL 1st PRESSING SON-ART LABEL...THE SAME LABEL AS 'FLYING KARPETS'! THE CONDITION OF THE COVER IS VG++. THE CONDITION OF THE DISC IS A SUPER NICE EX AND PLAYS GREAT! 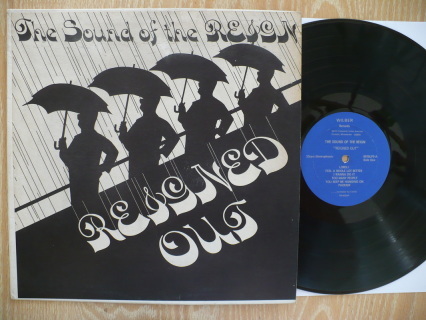 IMPOSSIBLE TO FIND ON THE ORIGINAL SON-ART LABEL...THE SECOND REGIS LABEL IS MUCH MORE COMMON. HIGHLY UNDERRATED AND BEYOND RARE IN THIS NICK!! 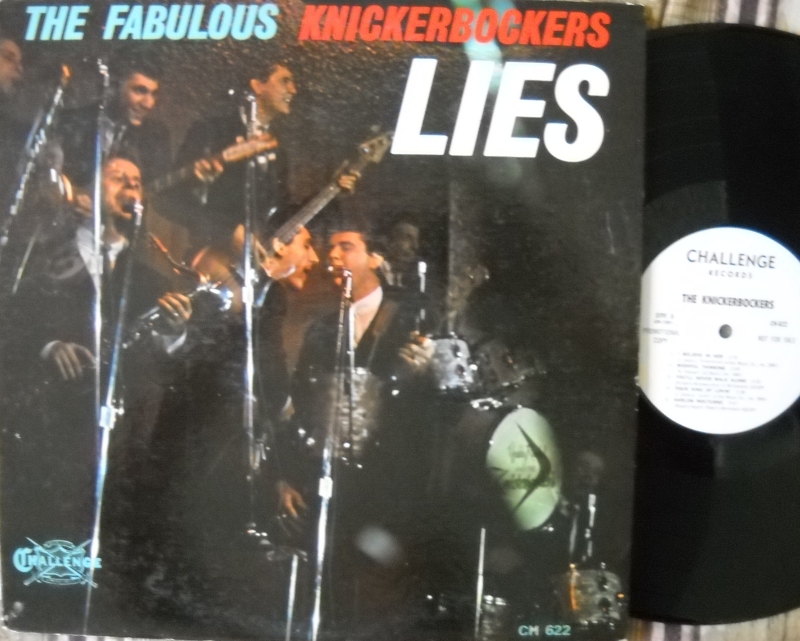 RARE 1965 ORIGINAL HOLLAND PRESSING OF KILLER DUTCH GARAGE FREAKBEAT LP IN TOP CONDITION! THE CONDITION OF THE ORIGINAL WRAP AROUND COVER IS EX+! THE CONDITION OF THE DISC IS A NICE VG+ AND IT PLAYS GREAT! 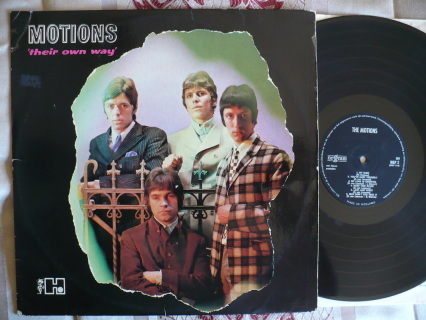 First pressing of the rare LP "Their own way", the second album by one of Holland's best beat/freakbeat/garage/psych bands the MOTIONS as released on Havoc IHLP 2 (MONO) in 1966 in Holland ONLY!! The condition of the cover is VG++! The disc is VG+ and plays great! Essential stuff for all serious sixties collectors! On this lp you'll find the ESSENTIAL song "Everything that's mine" the best freakbeat song to come out of Holland and probably all of Europe!! RARE 1967 THIRD LP ON THE HOLLAND TEENBEAT LABEL! CONDITION OF THE ORIGINAL LAMINATED "BACK FLAPS" COVER IS EX! DISC IS A NICE VG+ AND PLAYS GREAT! 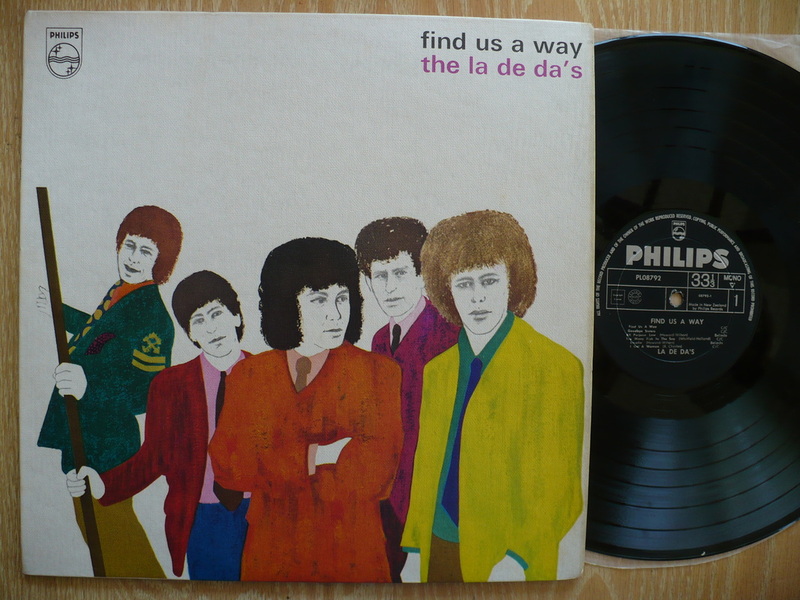 EXCELLENT DUTCH BEAT/FREAKBEAT/GARAGE/PSYCH LP!! 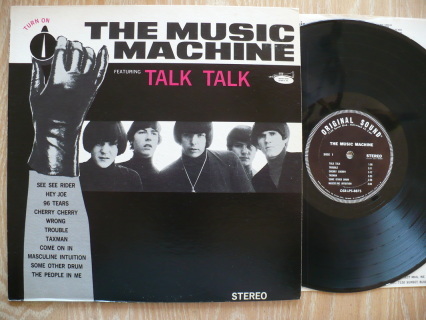 SEALED THE MUSIC MACHINE "TURN ON"
RARE 1966 ORIGINAL STEREO COPY IN TOP CONDITION! 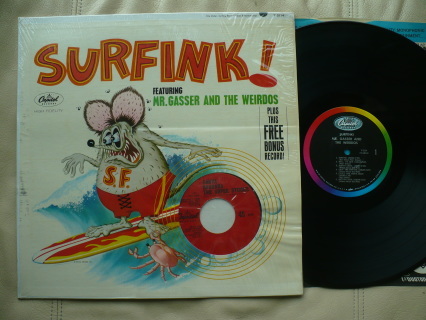 CLASSIC AND ESSENTIAL 1966 GARAGE PUNK LP! THE COVER IS M-! THE DISC IS A VERY NICE EX+ AND PLAYS GREAT! VERY TOUGH TO FIND AS A STEREO ORIGINAL! RARE 1963 ORIGINAL MONO PRESSING ON THE CAPITOL T1939 LABEL. THE COVER IS A NICE EX STILL IN THE ORIGINAL SHRINK WRAP! THERE IS THE VERY BEGINNINGS OF A BOTTOM CENTER SPLIT, OTHERWISE THE COVER IS BEAUTIFUL. THE TOP SEAM AND SPINE ARE PERFECT AND THERE ARE NO CUT-OUTS OR WRITING ON THE COVER! 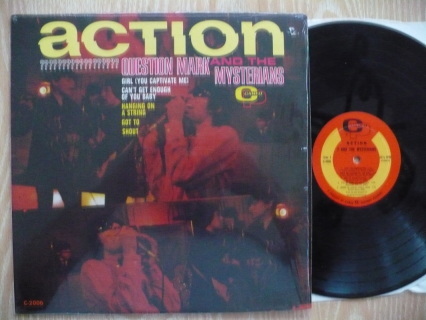 THE CONDITION OF THE DISC IS ALSO M- AND IT PLAYS GREAT IN THE ORIGINAL MONO MIX! 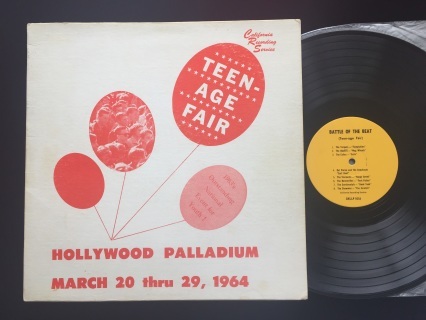 ALSO HAS THE ORIGINAL CAPITOL RECORDS INNER SLEEVE. NICE RICK GRIFFIN COVER ART AS WELL! 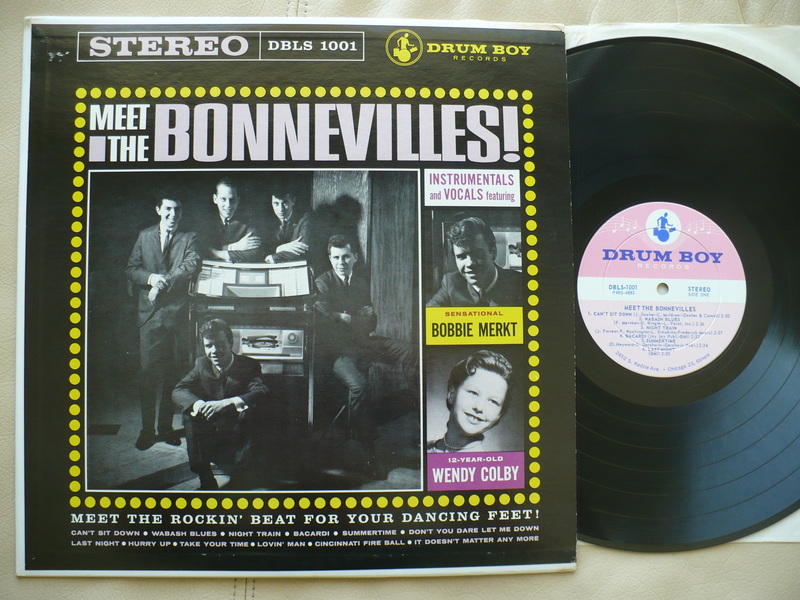 RARE 1963 ORIGINAL STEREO PRESSING ON THE FAMILY RECORDS LABEL. THE CONDITION OF THE COVER IS M-, STILL IN THE ORIGINAL SHRINK WRAP, NO SEAM SPLITS OR WRITING! THE CONDITION OF THE STEREO DISC IS ALSO A STUNNING M-! TOP COPY AND SO HARD TO FIND IN STEREO! RARE 1967 ORIGINAL HOLLAND 2ND LP! COVER IS VG++ WITH NO SPLITS OR WRITING. THE DISC IS VG++ AND PLAYS GREAT! 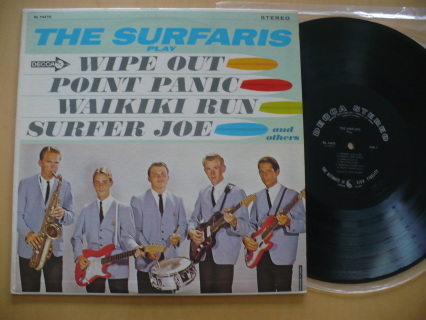 BEYOND RARE 1963 PRIVATE SURF GARAGE INSTRO ALBUM IN NICE NICK! THE COVER IS A NICE VG+ WITH SOME EDGE WEAR, A HARD TO SEE 2" BOTTOM CENTER SPLIT AND A SMALL X WRITTEN ON THE FRONT AND BACK COVER. THE DISC IS A NICE EX WITH SOME LIGHT SLEEVE SCUFFS, NO DEEP SCRATCHES, AND IT PLAYS GREAT, LOUD AND CLEAR! 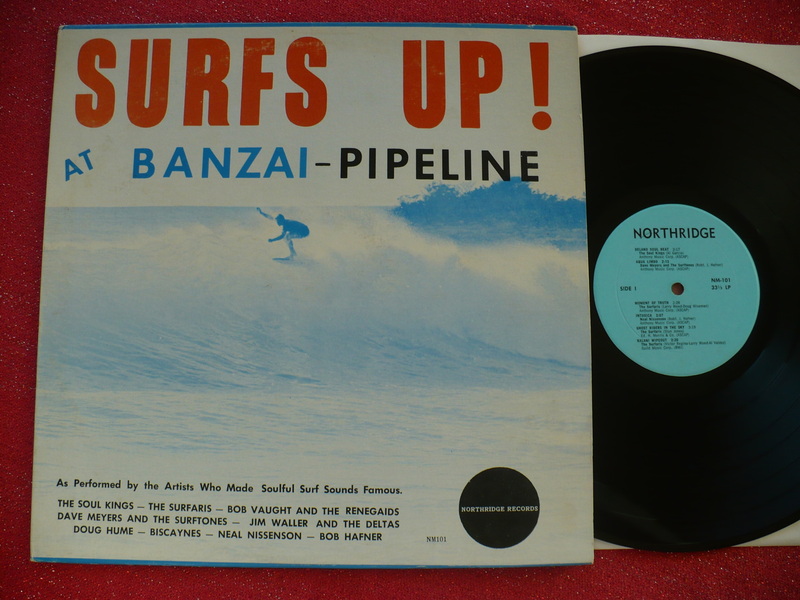 EXCELLENT EARLY SURF SOUNDS WITH REVERB SOAKED AND TWANGY GUITARS, HONKIN' SAX AND POUNDING SURF DRUMS! 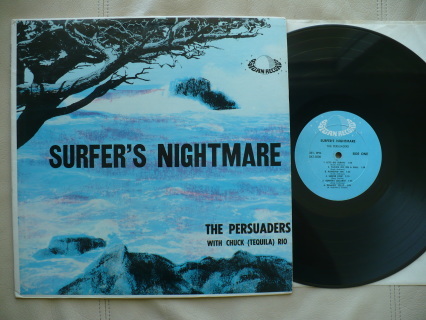 MUSICALLY KILLER IF YOU'RE INTO EARLY, PRIMITIVE SURF SOUNDS AND HAS ABSOLUTELYVANISHED AT THIS POINT! NICE KEEPER COPY FOR MOST COLLECTORS! RARE 1966 ORIGINAL UK MONO PRESSING ON THE WING LABEL. THE CONDITION OF THE ORIGINAL "BACK-FLAPS" COVER IS EX! 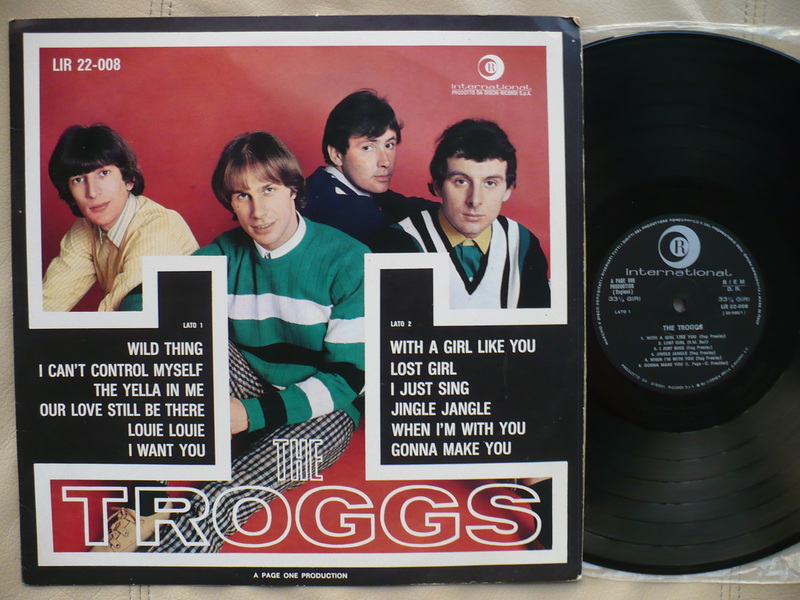 THE DISC IS A NICE VG++ AND IT PLAYS GREAT IN THE ORIGINAL MONO MIX! 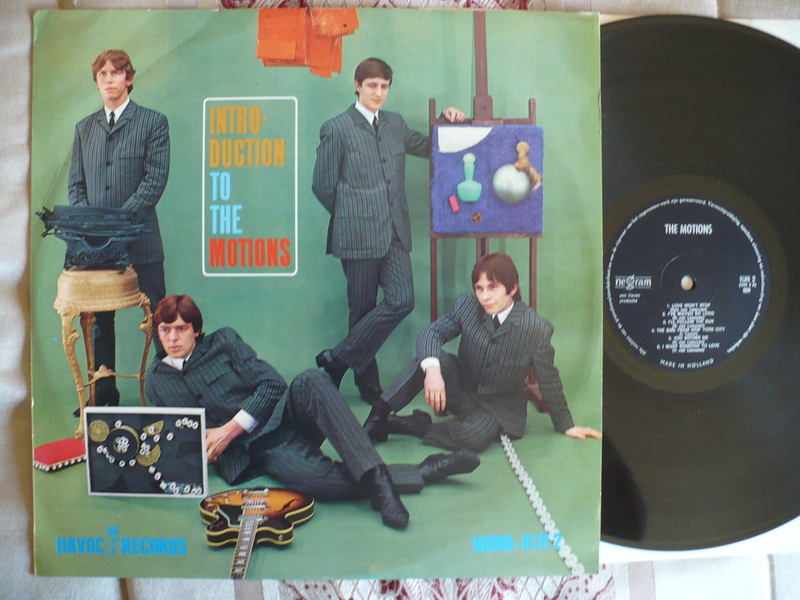 THIS IS A LEGENDARY AND HIGHLY COLLECTABLE LP AS 'THE PUPILS' ARE ACTUALLY THE BRITISH MOD GROUP 'THE EYES' IN DISGUISE! NICE KEEPER COPY! 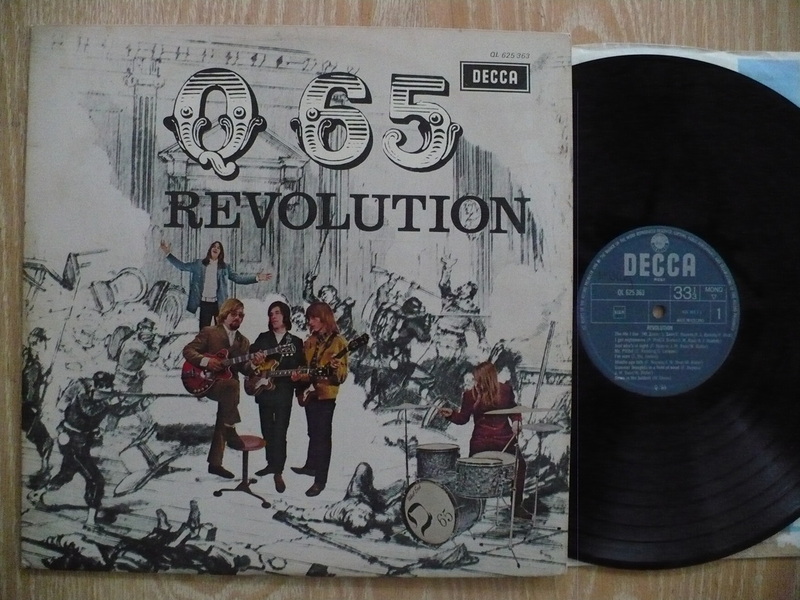 Q65 - "Revolution" LP, on the Decca label, QL 625 363, from 1966. 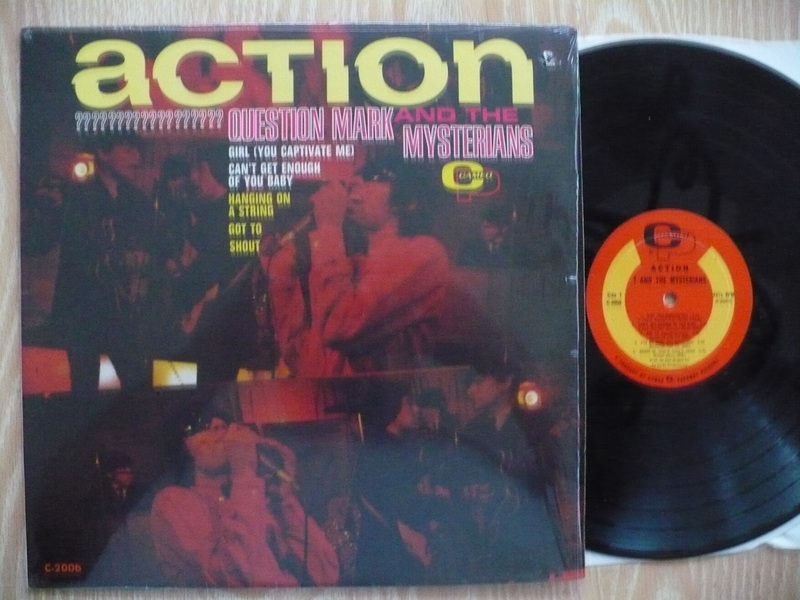 This is a ultra rare original Dutch pressing of a rare classic raw garage punk R&B album, their debut release. Matrix numbers are machine etched in trail off. The flip back cover is in EX+ condition but has some minor staining on the back cover . The disc is nice and shiny, and looks VG+ with very light surface type marks, and plays excellent. A really decent copy of this rarity. 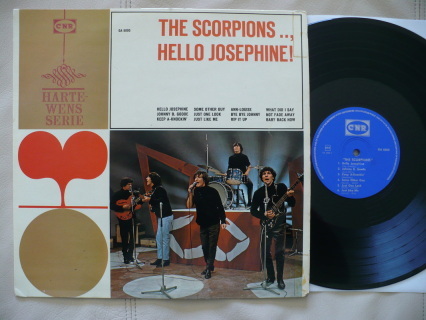 VERY RARE 1969 ORIGINAL HOLLAND PRESSING ON THE DECCA LABEL. THE COVER IS EX WITH ONLY MINOR CREASING, NO SPLITS OR WRITING. THE DISC IS A NICE VG+ AND PLAYS GREAT! KILLER 60'S DUTCH GARAGE PSYCH TRACKS! RARE 1966 ORIGINAL U.S. MONO FIRST PRESSING ON THE CAMEO PARKWAY RECORDS LABEL. THE CONDITION OF THE COVER IS M- STILL IN THE ORIGINAL SHRINK WRAP! THERE IS A SMALL DRILL HOLE IN THE UPPER LEFT CORNER, OTHERWISE IT'S PERFECT WITH NO SEAM SPLITS OR WRITING! THE MONO DISC IS ALSO M-! 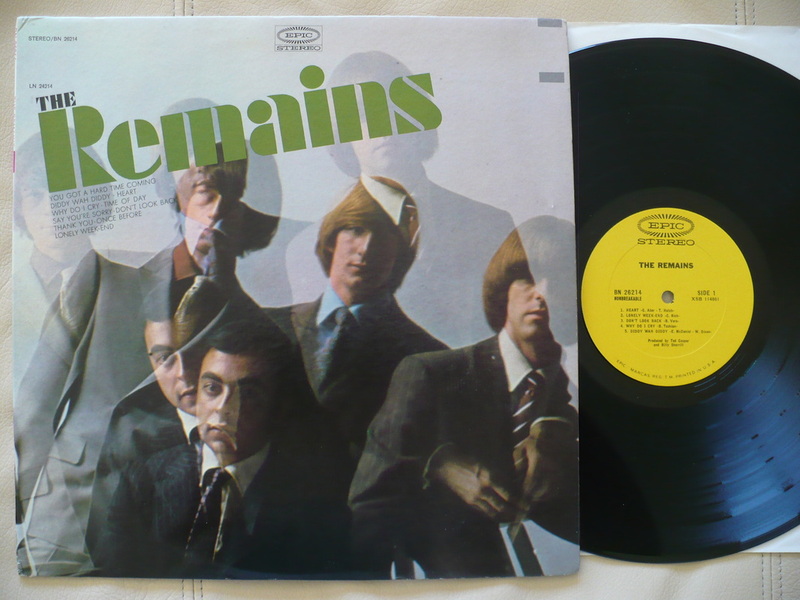 RARE 1967 ORIGINAL U.S. MONO SECOND LP ALSO IN TOP CONDITION! THE COVER IS M- STILL IN THE SHRINK WITH A SMALL DRILL HOLE IN THE UPPER RIGHT CORNER, OTHERWISE BEAUTIFUL! THE DISC IS ALSO A GORGEOUS M-! HARD TO FIND 1966 ORIGINAL U.S. STEREO PRESSING OF KILLER GARAGE ROCK! THE COVER IS A STRONG EX+ WITH MINIMAL SIGNS OF WEAR AND THERE ARE NO CUT-OUTS, SEAM SPLITS OR WRITING! THE DISC IS A BEAUTIFUL M- AND PLAYS NEARLY PERFECT IN THE RARE STEREO MIX! RARE 1965 ORIGINAL MONO WHITE LABEL PROMO LP! THE COVER IS VG+ WITH SOME VERY MINOR INSECT EVIDENCE TO THE FRONT COVER. OVERALL THE COVER LOOKS VERY NICE AND THERE ARE NO SEAM SPLITS OR WRITING! THE WHTIE LABEL PROMO DISC IS A SUPER CLEAN EX+, VERY CLOSE TO MY TOP M- GRADE, AND IT PLAYS GREAT IN THE ORIGINAL MONO MIX! VERY COOL HOT-ROD, SURF SOUNDS UNDER THE LEADERSHIP AND DIRECTION OF GARY USHER AND THE WRECKING CREW! 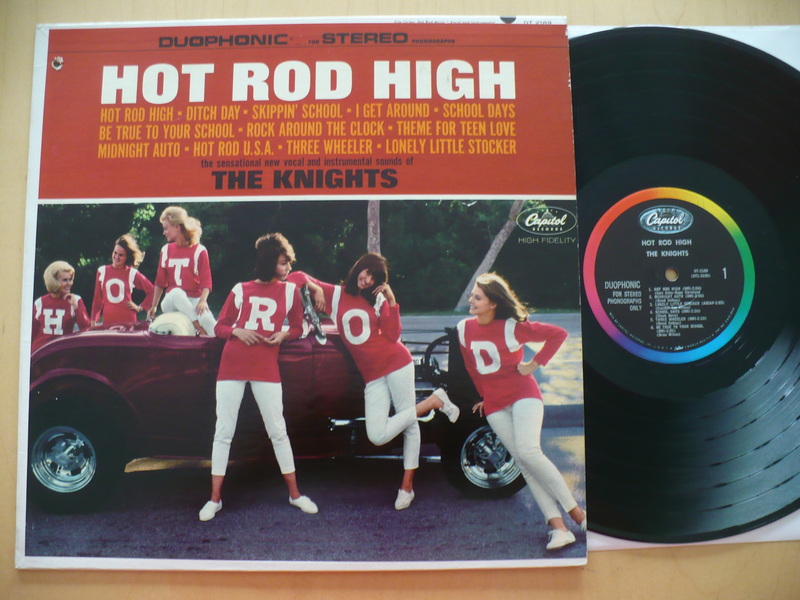 RARE 1965 ORIGINAL U.S. MONO FIRST PRESSING ON THE DUNHILL RECORDS LABEL IN TOP NICK! THE COVER IS M- STILL IN THE ORIGINAL SHRINK WRAP! THERE IS A 59c 2/$1.00(!) PRICE STICKER ON TOP OF THE SHRINK! NO CUT-OUTS, SEAM SPLITS OR WRITING! 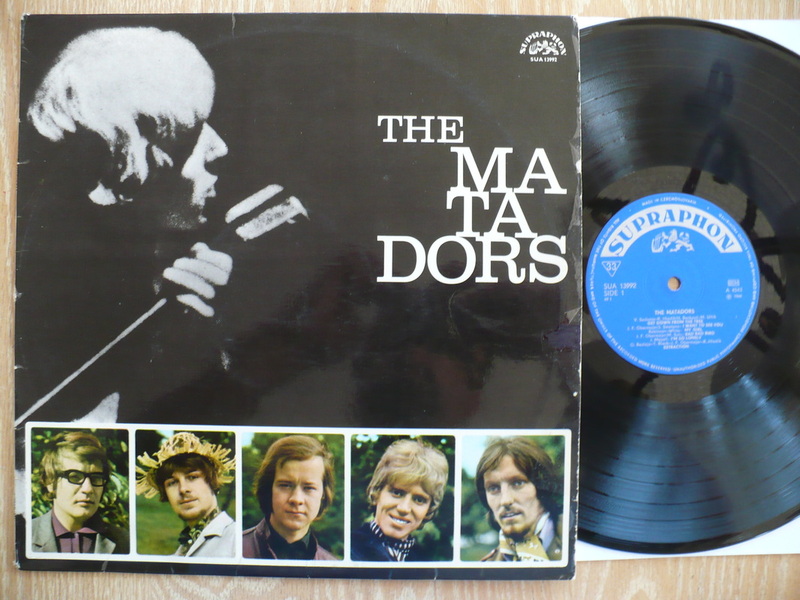 THE CONDITION OF THE DISC IS ALSO A GORGEOUS M- AND IT PLAYS GREAT IN THE ORIGINAL MONO MIX! 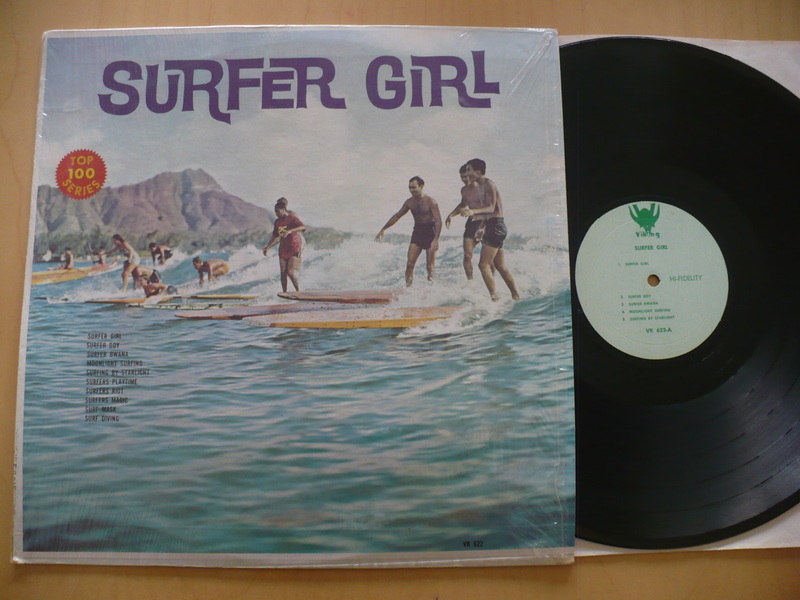 GREAT SURF LP FEATURING THE TALENTS OF P.F. SLOAN AND STEVE BARRI! RARE 1964 ORIGINAL STEREO FIRST PRESSING IN NICE KEEPER CONDITION. THE COVER IS A NICE EX BUT DOES HAVE A NAME WRITTEN ON THE BACK COVER. THERE ARE NO SEAM SPLITS. THE ORIGINAL STEREO DISC IS A NICE EX AND IT PLAYS GREAT IN THE ORIGINAL STEREO MIX! THE RISING STORM CALM BEFORE... ORIGINAL 1967 MONO PRESSING ON REMNANT RECORDS BBA-3571. 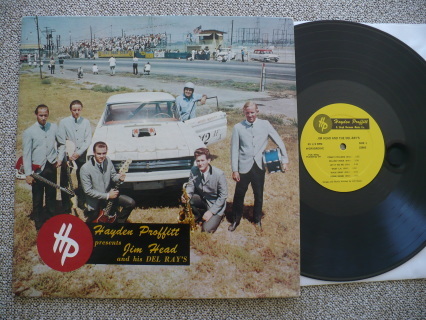 PRIVATE PRESSING LIMITED TO ONLY 500 COPIES AND NOW COMPLETELY DISAPPEARED! CONDITION: COVER IS EX WITH THE BEGINNING OF A 3 INCH TOP CENTER SPLIT AND SLIGHT EDGE WEAR. 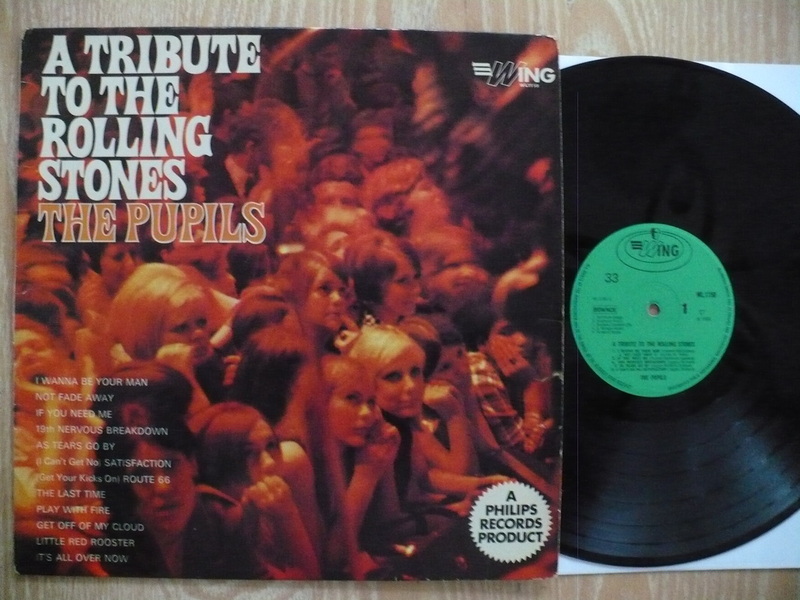 MONO VINYL IS VG+ HAS SOME MINOR SURFACE BETWEEN TRACKS BUT A GREAT LISTEN! 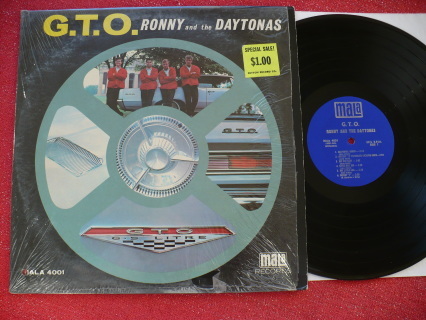 RONNY AND THE DAYTONAS- G.T.O. 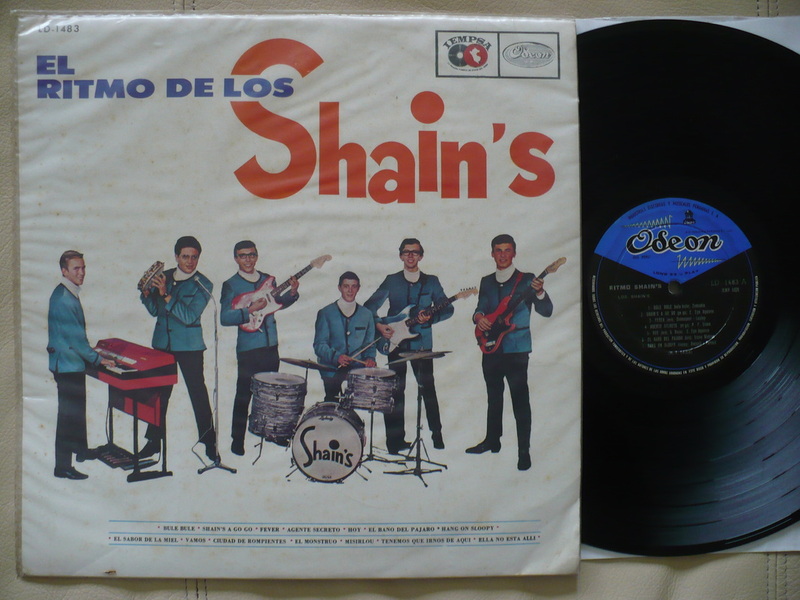 RARE 1964 ORIGINAL MONO PRESSING ON THE MALA RECORDS LABEL IN TOP SHAPE! THE COVER IS M- STILL IN THE SHRINK WRAP! THERE IS A SMALL CUT-OUT HOLE IN THE LOWER LEFT CORNER, OTHERWISE IT'S NICE! THE DISC IS A VERY CLEAN EX AND PLAYS GREAT IN THE ORIGINAL MONO MIX! THE SANDALS- THE ENDLESS SUMMER STEREO PRESSING WORLD PACIFIC (STILL SEALED)! 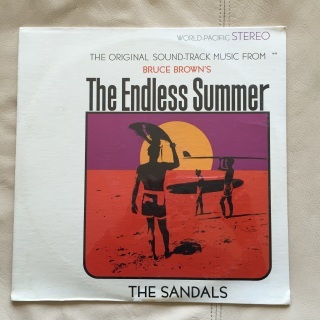 STILL SEALED THE SANDALS- THE ENDLESS SUMMER RARE STEREO PRESSING ORIGINAL SOUND TRACK WORLD PACIFIC 1832 CONDITION: SEALED! 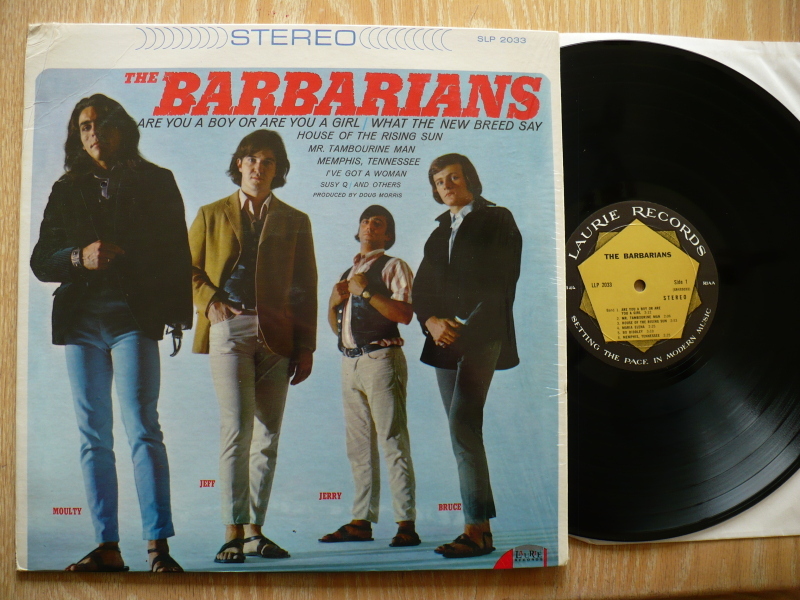 ULTRA RARE 1966 ORIGINAL SWISS FIRST PRESSING ON THE COLUMBIA LABEL! COVER IS A NICE VG+ AND IS LIGHTLY AUTOGRAPHED ON THE FRONT COVER! THE DISC IS ALSO VG+ AND PLAYS MOSTLY EX! 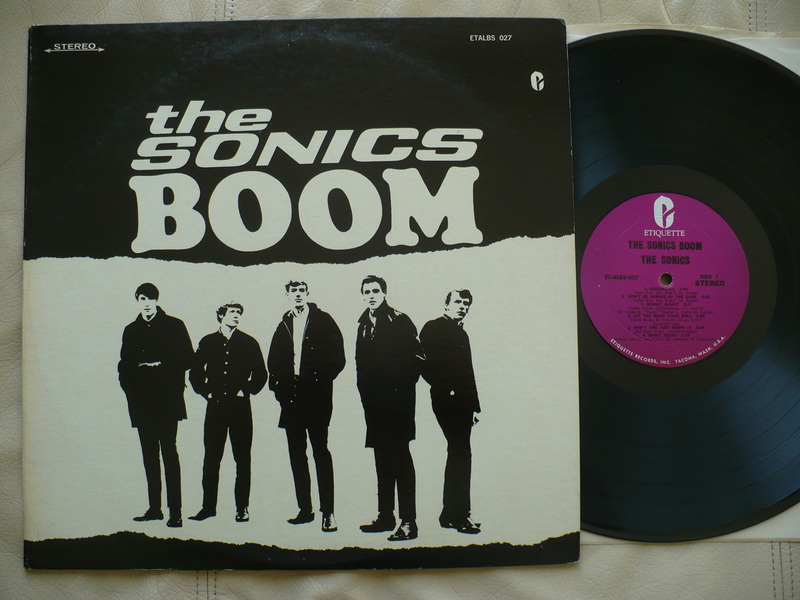 KILLER GARAGE/FREAKBEAT SOUNDS AND BEYOND RARE! 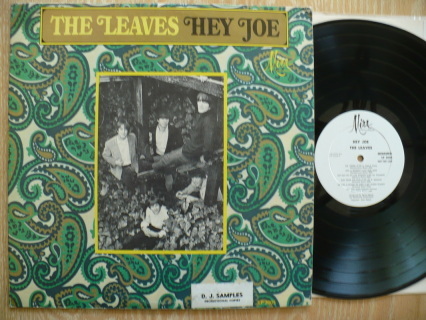 RARE 1966 ORIGINAL HOLLAND PRESSING IN VERY NICE CONDITION! THE COVER AND DISC ARE A CLEAN EX AND IT PLAYS GREAT! 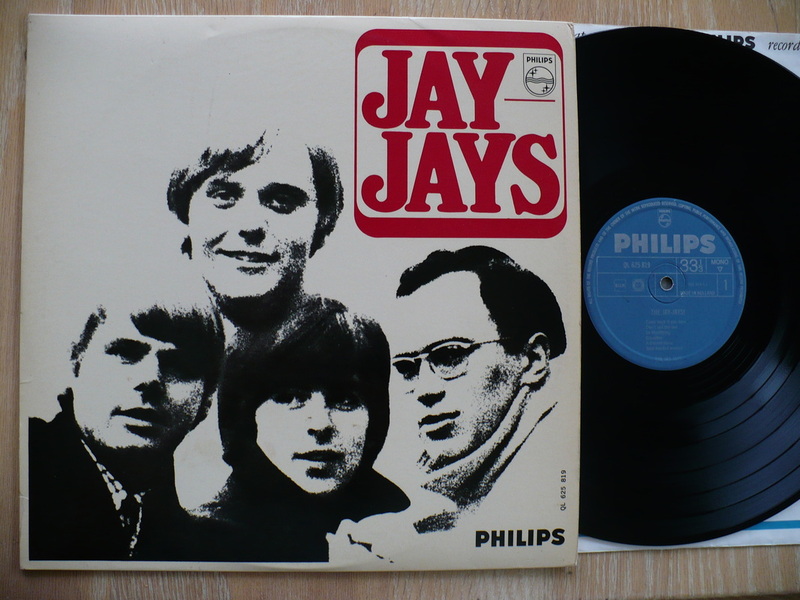 SUPERB MID-1960'S BRITISH GARAGE FREAKBEAT GROUP WHO WERE POPULAR IN HOLLAND AND GERMANY! UNDERRATED AND RECOMMENDED TO ANY SERIOUS GARAGE COLLECTOR! 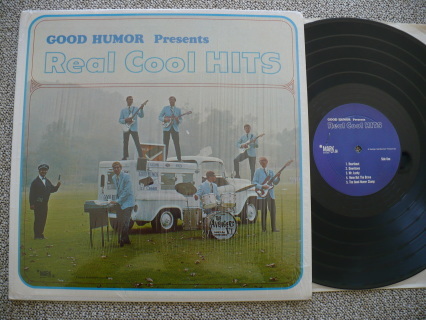 VERY RARE 1966 ORIGINAL MONO FIRST PRESSING WITH NO "PUSHIN TOO HARD" BLURB ON THE FRONT COVER...SUPER HARD TO FIND! THE CONDITION OF THE COVER IS A STRONG EX! NO WEAR TO THE FRONT COVER AND ONLY LIGHT WEAR TO THE BACK COVER. THERE ARE NO CUT-OUTS, SEAM SPLITS OR WRITING! THE CONDITION OF THE DISC IS ALSO A NICE EX AND IT PLAYS GREAT! 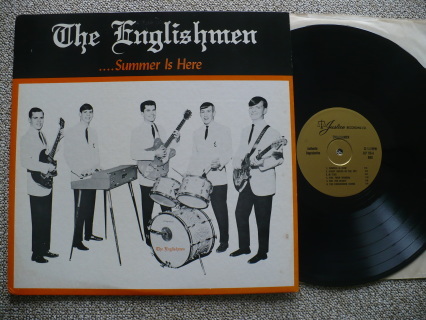 RARE 1966 ORIGINAL STEREO FIRST PRESSING OF ESSENTIAL U.S. GARAGE PUNK! THE COVER IS M-! THE DISC IS A CLEAN EX+ WITH ONLY A COUPLE OF ULTRA LIGHT SLEEVE SCUFFS KEEPING IT FROM MY TOP M- GRADE! IT PLAYS BEAUTIFULLY FROM START TO FINISH! 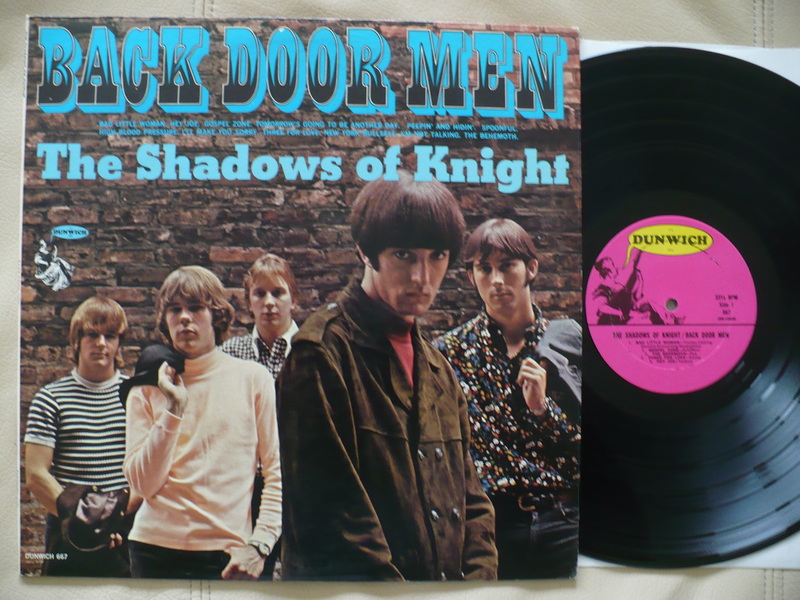 1966 ORIGINAL 2ND LP IN GLORIOUS MONO! THE COVER IS M-! THE DISC IS M-! 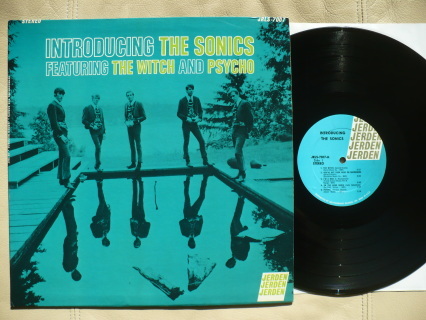 KILLER AND NECESSARY 1966 FUZZ GARAGE PUNK LP! VERY RARE 1966 ORIGINAL PERU PRESSING OF EXCELLENT AND TOUGH GARAGE ROCK! COVER AND DISC ARE A VERY NICE EX! VERY HARD TO FIND ESPECIALLY IN THIS TOP NICK! 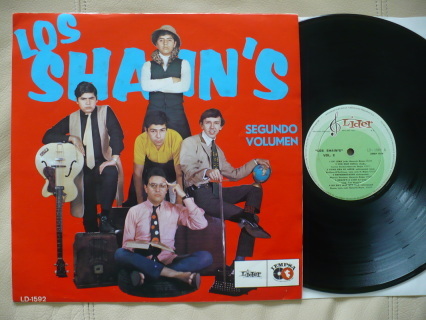 RARE 1967 2ND LP ON THE ORIGINAL PERU LIDER/IEMPSA LABEL AND AGAIN, THIS EXAMPLE IS IN TOP CONDITION! COVER AND DISC ARE A SUPER CLEAN EX+ VERY CLOSE TO MY TOP M- GRADE! MORE EXCELLENT 60'S GARAGE ROCK! NEVER SEE THIS IN THIS TOP CONDITION! 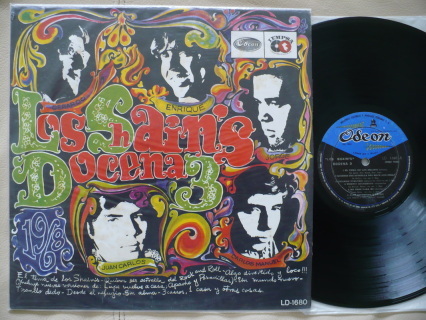 VERY RARE 1968 ORIGINAL PERUVIAN FUZZ GARAGE/PSYCH LP! THE CONDITION OF THE COVER IS EX! THE DISC IS ALSO EX WITH A FEW LIGHT SCUFFS OTHERWISE IT'S CLEAN AND IT PLAYS GREAT! THEIR RAREST AND BEST LP! RECOMMENDED! 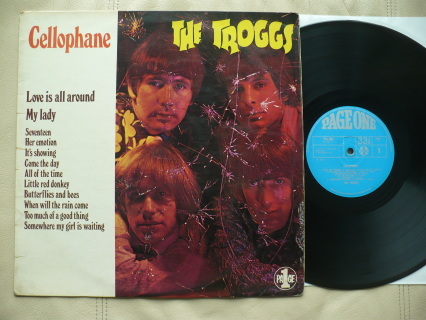 RARE 1966 ORIGINAL STEREO PRESSING ON THE PURPLE ETIQUETTE RECORDS LABEL. THE COVER IS A NICE EX WITH MINOR WEAR, NO SEAM SPLITS! THERE IS A SMALL NAME "PHIL" WRITTEN ON THE BACK COVER. 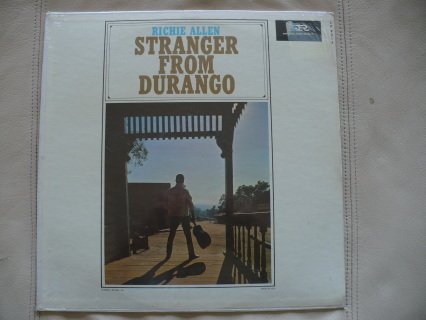 THE CONDITION OF THE DISC IS A NICE VG+ TO EX AND IT PLAYS GREAT IN THE RARER STEREO MIX! 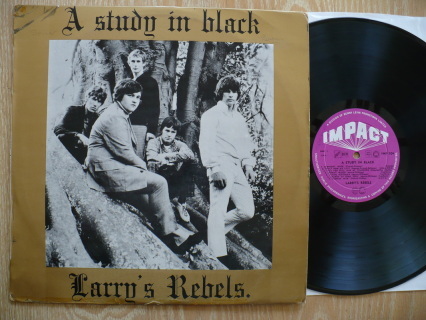 ABSOLUTELY KILLER AND HIGHLY INFLUENTIAL EARLY 60'S GARAGE PUNKERS! RARE AND IN HIGH DEMAND 1967 ORIGINAL STEREO PRESSING ON THE JERDEN LABEL. THE CONDITION OF THE COVER IS A BEAUTIFUL M-, NO SEAM SPLITS OR WRITING! THE CONDITION OF THE DISC IS ALSO A BEAUTIFUL M-! TOP COPY!! 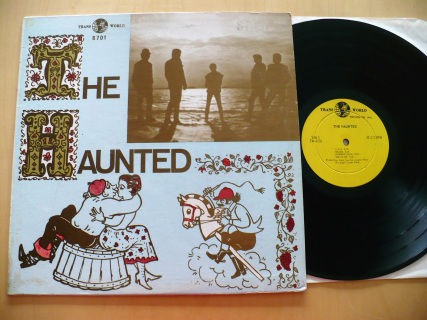 MONSTER RARE AND IMPOSSIBLE 1968 U.S. CRUDE FUZZED OUT MINNESOTA GARAGE LP ON THE ORIGINAL WILBER RECORDS LABEL! COVER IS VG++, NO SPLITS OR WRITING! DISC IS VG+ AND PLAYS STRONG! KILLER FUZZED OUT COVERS OF HENDRIX, BYRDS, LEAVES, VANILLA FUDGE AS WELL AS COOL ORIGINALS LIKE "BABY LET ME BANG YOUR BOX"! ONLY A HANDFUL OF COPIES EXIST AND THIS THING JUST NEVER TURNS UP! VERY COOL AND BEYOND RARE...ESSENTIAL FOR ANY SERIOUS GARAGE/PSYCH COLLECTION! VERY RARE 1966 ORIGINAL RELEASE ON THE HANNA-BARBERA RECORDS LABEL. THIS IS A ORIGINAL, NEAR PERFECT STILL SEALED EXAMPLE! ROUND PRICE STICKER ($1.89!) IS ON TOP OF THE SHRINK WRAP AND CAN PROBABLY BE EASILY REMOVED BUT I WILL LEAVE THIS TASK TO THE BUYER. TOP, STILL SEALED, ORIGINAL COPY!! RARE 1963 ORIGINAL STEREO FIRST PRESSING WITH THE FIVE MEMBER PHOTO ON THE BACK COVER AND SONG TITLES PRINTED ON THE FRONT COVER! THE COVER IS A STRONG EX+ WITH JUST A HINT OF WEAR, NO SPLITS OR WRITING! 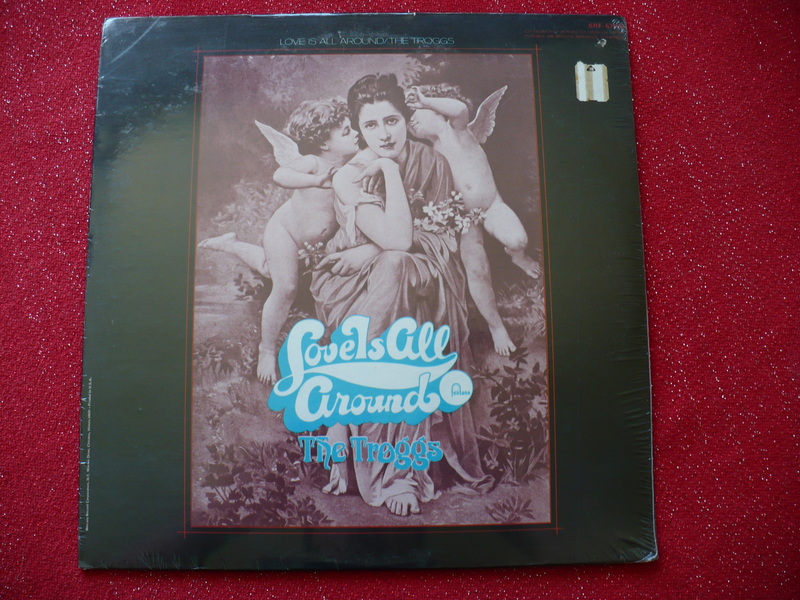 THE CONDITION OF STEREO DISC IS A NICE VG+ WITH ONLY LIGHT SLEEVE SCUFFS PRESENT. IT PLAYS NICE IN THE RARER STEREO MIX! ALSO INCLUDES THE ORIGINAL DOT RECORDS INNER SLEEVE. HARD TO FIND 1963 ORIGINAL CANADIAN FIRST STEREO PRESSING ON THE BLACK DECCA LABEL IN TOP CONDITION! THE COVER IS M-, NO SPLITS OR WRITING! THE CONDITION OF THE DISC IS ALSO A BEAUTIFUL M-! 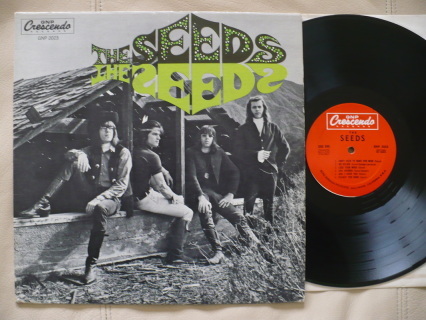 HARD TO FIND CANADA FIRST STEREO PRESSING IN TOP ARCHIVE CONDITION! RARE 1964 ORIGINAL U.S. 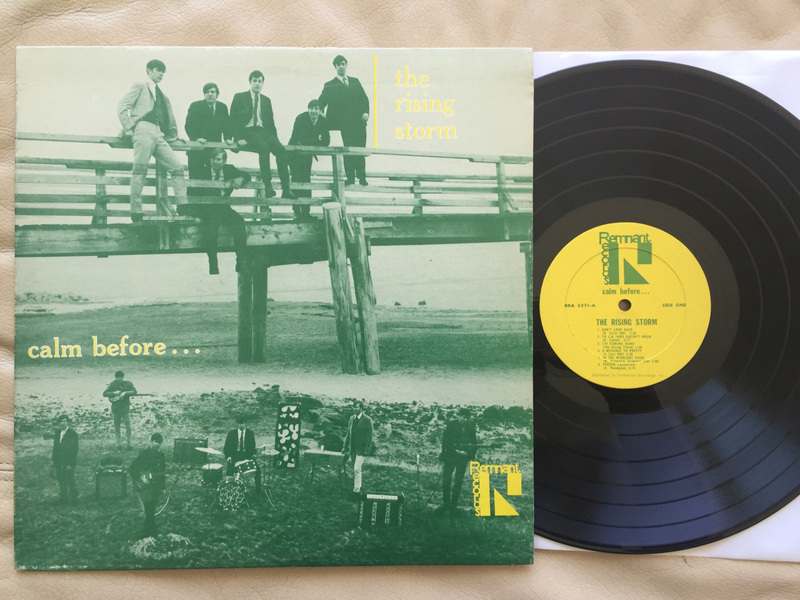 STEREO FIRST PRESSING IN TOP COLLECTOR CONDITION! THE COVER IS M-, NO SPLITS OR WRITING! THE CONDITION OF THE STEREO DISC IS ALSO M-! HAS THE ORIGINAL DECCA RECORDS INNER SLEEVE. TOP STEREO COPY! 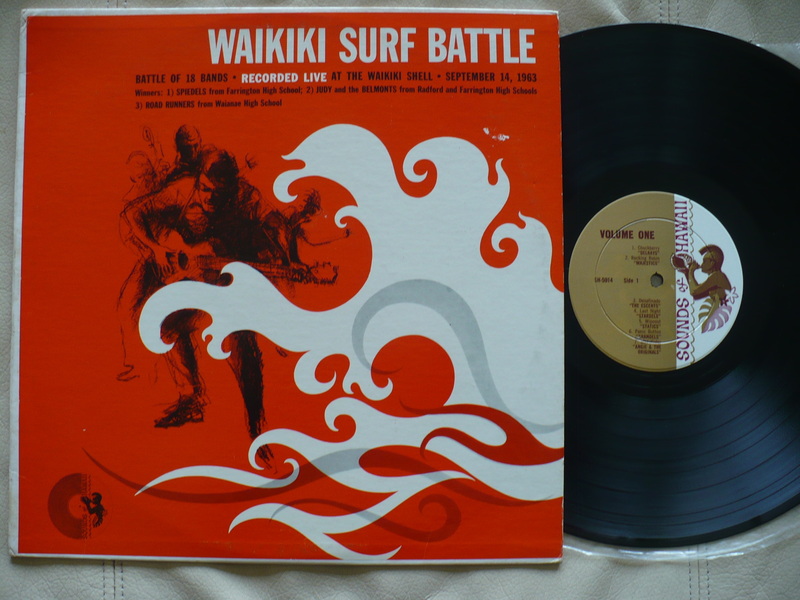 SUPER HARD TO FIND, BUDGET LABEL SURF LP FROM THE 1960's (probably '64-'66) ON THE VIKING VK-622 LABEL IN NICE KEEPER CONDITION! THE COVER IS A BEAUTIFUL M- STILL IN THE ORIGINAL SHRINK WRAP WITH NO SEAM SPLITS OR WRITING! 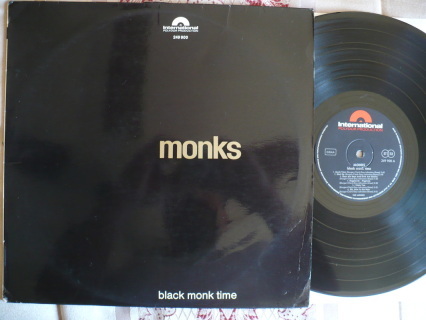 THE CONDITION OF THE ORIGINAL MONO DISC IS A NICE VG TO VG+ AND IT PLAYS WELL IN THE ORIGINAL MONO MIX! VERY RARE AND GREAT 1963 ORIGINAL SURF COMPILATION ON THE NORTHRIDGE RECORDS NM 101 LABEL IN TOP CONDITION. THE CONDITION OF THE COVER AND DISC IS A SUPER NICE EX+! PLAYS GREAT IN THE MONO MIX! 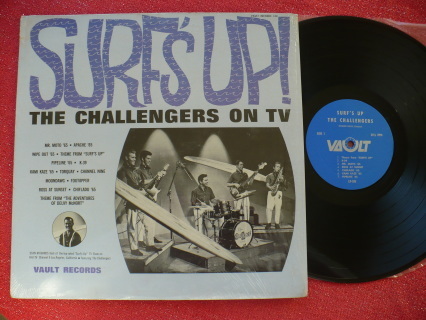 GROUPS INCLUDE: THE SOUL KINGS, DAVE MEYERS AND THE SURFTONES, THE SURFARIS, NEAL NISSENSON, JIM WALLER AND THE DELTAS, DOUG HUME, THE BISCAYNES, BOB VAUGHT AND THE RENEGADES and BOB HAFNER! 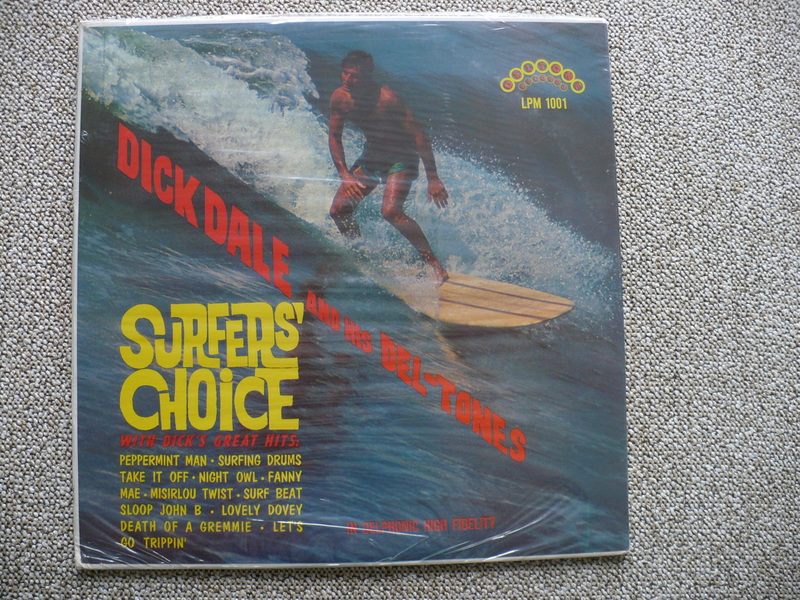 TOP VINTAGE SURF COMPILATION IN BEAUTIFUL KEEPER CONDITION! 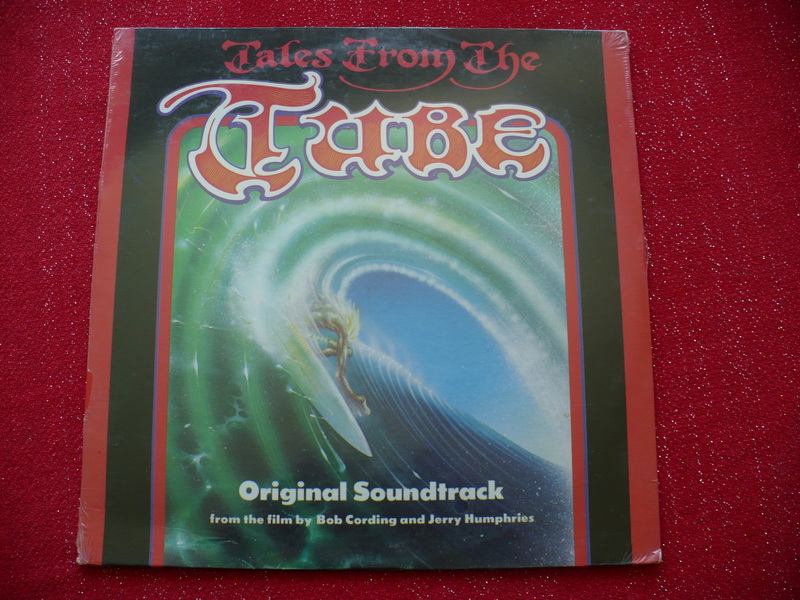 VERY RARE 1975 ORIGINAL SOUNDTRACK AND THIS IS A MINT, STILL SEALED CONDITION! VERY OBSCURE SURF FILM MADE IN CALIFORNIA IN 1975. NICE COVER ART BY RICK GRIFFIN! TOP COPY!! THESE RECORDS WERE ONLY HANDED OUT TO THE BANDS THAT PLAYED AT THE TEEN-AGE FAIR MAKING THEM ONE OF THE RAREST 1964 GARAGE/SURF COMPILATIONS! THE TEEN-AGE FAIR "BATTLE OF THE BEATS" VOLUME 2 HOLLYWOOD PALLADIUM MARCH 20-29 1964. THE DEL-SHANYS, THE ENCHANTERS, THE SEN-SA-SHUNS, THE ULTIMATES, DANTES, VERSITILES, ORIGINAL CONTINENTALS, S-SQUIRES, EDDIE AND THE MONARCHS, THE WILD ONES. 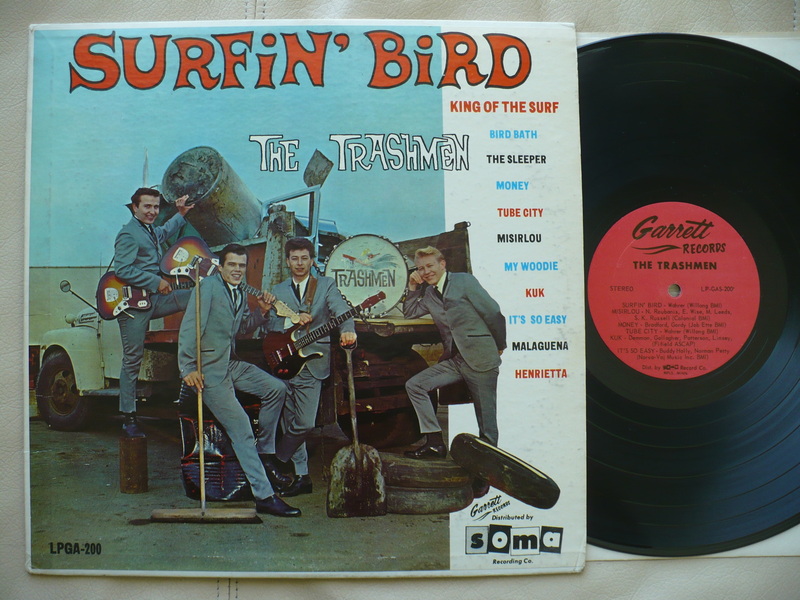 RARE GARAGE GUITARS AND ONE OF THE RAREST PRIVATE PRESSING GARAGE/SURF LP'S OF THE EARLY 60'S! 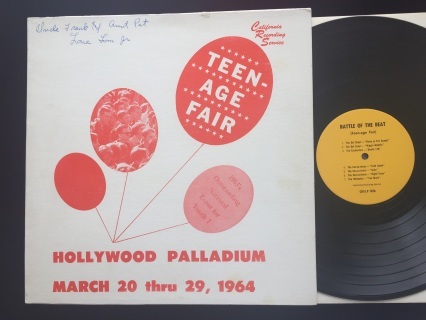 THE TEEN-AGE FAIR WENT FROM 1961-EARLY 70'S. PRIVATE PRESSING. CALIFORNIA RECORDING SERVICE CRS-LP-102. SUPER RARE 1964 ORIGINAL STEREO PRESSING ON THE GARRETT RECORDS LP-GAS-200 LABEL IN TOP KEEPER CONDITION! THE COVER IS A NICE EX WITH JUST A HINT OF WEAR, NO CUT-OUTS, SEAM SPLITS OR WRITING! THERE IS A SMALL FACTORY "STEREO" STICKER ON THE BACK COVER. THE DISC IS A SUPER CLEAN EX AND PLAYS GREAT! 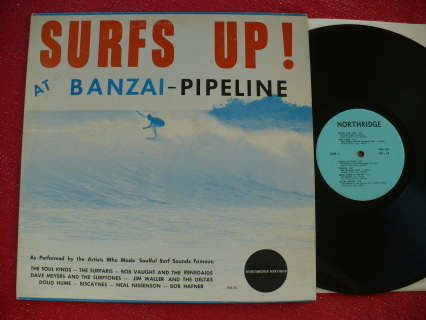 ESSENTIAL EARLY SURF LP! 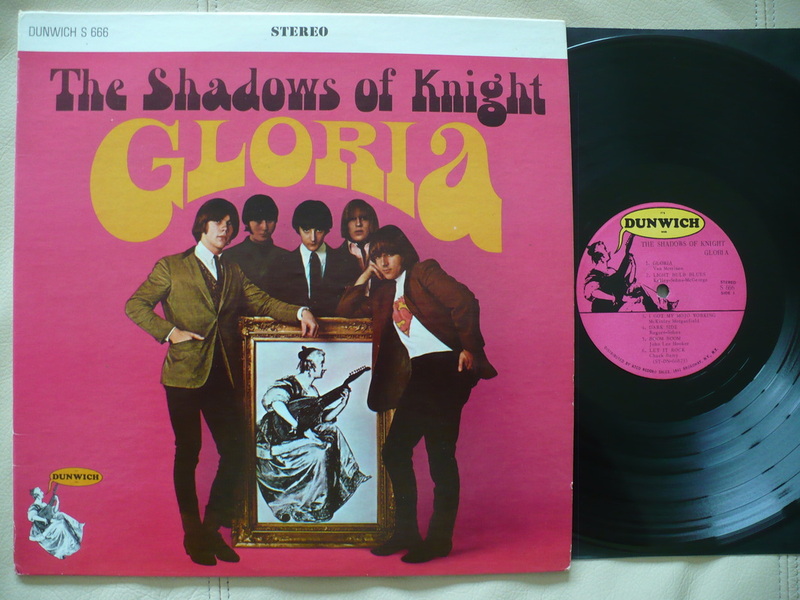 RARE 1966 ORIGINAL UK FIRST MONO PRESSING ON THE FONTANA RECORDS LABEL. THE COVER IS EX WITH A SMALL AMOUNT OF "WHITE OUT" ON THE BACK COVER COVERING A NAME, OTHERWISE THE COVER IS NICE WITH ONLY MINOR CREASES, NO SEAM SPLITS OR WRITING! THE DISC IS A NICE EX AND IT PLAYS GREAT IN THE ORIGINAL MONO MIX! 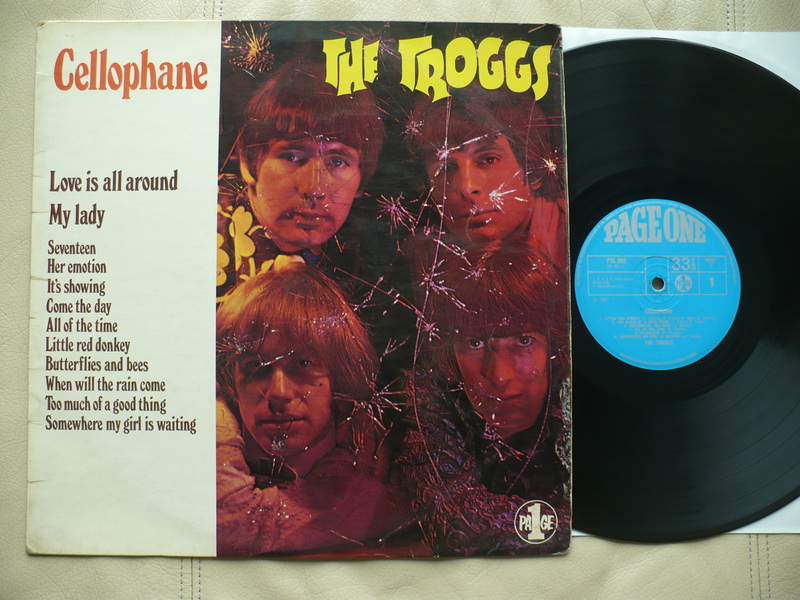 RARE 1967 ORIGINAL UK FIRST MONO PRESSING IN THE PAGE ONE POL 001 LABEL. THE CONDITION OF THE COVER IS EX+! THE CONDITION OF THE DISC IS A CLEAN EX+, VERY CLOSE TO MY TOP M- GRADE, AND IT PLAYS BEAUTIFULLY IN THE ORIGINAL MONO MIX! VERY NICE KEEPER COPY FOR MOST! RARE 1968 ORIGINAL U.S. ALBUM ON THE FONTANA SRF 67576 LABEL. THIS IS A GORGEOUS STILL SEALED ORIGINAL COPY! THE ONLY FLAWS ARE A TINY DRILL HOLE IN THE UPPER RIGHT CORNER OF THE COVER AND A SMALL PRICE STICKER ON THE TOP OF THE SHRINK. TOP COPY!! 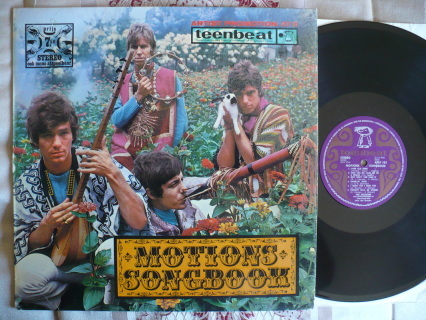 RARE 1967 ORIGINAL UK MONO FIRST PRESSING ON THE PAGE ONE POL 003 LABEL. THE COVER IS A NICE EX WITH A SMALL "86" WRITTEN ON THE BACK COVER, OTHERWISE THE COVER IS NICE! THE DISC IS A BEAUTIFUL M-! A VERY TOUGH FIND AND THIS IS A NICE KEEPER COPY! 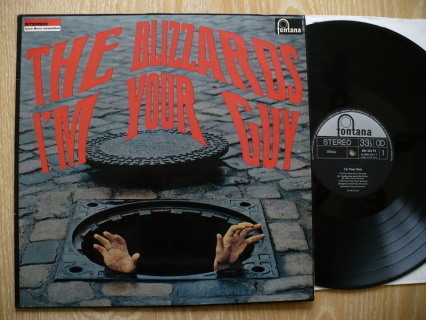 SUPER RARE 1967 ORIGINAL ITALIAN LP! THE CONDITION OF THE ORIGINAL WRAP-AROUND COVER IS A BEAUTIFUL EX+! THE CONDITION OF THE DISC IS A VERY NICE EX AND IT PLAYS GREAT IN THE ORIGINAL MONO MIX! SUPER RARE ITALIAN ORIGINAL FIRST PRESSING HOUSED IN A UNIQUE ITALY-ONLY COVER!! SUPER RARE AND IN HIGH DEMAND 1966 ORIGINAL CANADIAN WHITE LABEL ISSUE IN TOP COLLECTOR CONDITION! THE COVER IS EX+, NO CUT-OUTS, SEAM SPLITS OR WRITING! THE DISC IS A VERY NICE EX AND IT PLAYS LOUD AND CLEAR! KILLER 1966 SNARLING, SNOTTY, GARAGE PUNKERS WITH A HIGH EMPHASIS ON LOUD FUZZY LEADS! 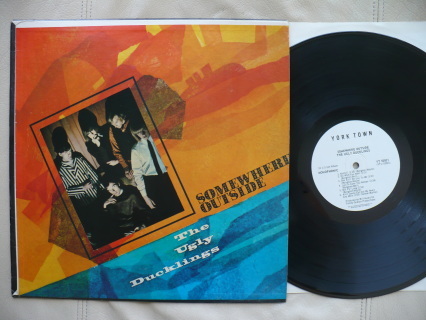 ONE OF THE ALL TIME BEST GARAGE LP'S FROM ANYWHERE!! 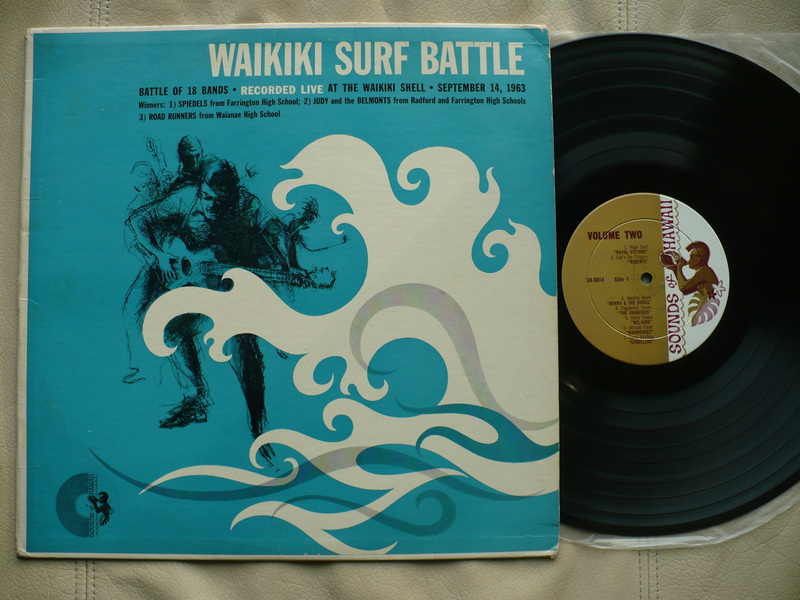 SUPER RARE 1963 ORIGINAL HAWAIIAN BATTLE OF THE BANDS OF KILLER GARAGE/SURF SOUNDS! THE COVER IS A NICE EX WITH A TINY STICKER TEAR, NOT BAD AT ALL. THE CONDITION OF THE DISC IS ALSO A NICE EX WITH ONLY LIGHT SLEEVE SCUFFS PRESENT. THE VINYL STILL HAS A BRILLIANT GLOSS AND IT PLAYS GREAT! GROUPS INCLUDED: 'DELRAYS', 'MAJESTICS', 'THE ESCENTS', 'STARDELS', 'STATICS', 'SHANDELS', 'ANGIE & THE ORIGINALS', 'THE VOGUES', 'ROAD RUNNERS' (3rd prize), 'JUDY AND THE BELMONTS' (2nd prize), AND 'SPIDELS' (1st prize). SUPER RARE 1963 ORIGINAL HAWAIIAN BATTLE OF THE BANDS SURF/GARAGE LP! THE CONDITION OF THE COVER IS VG+ TO EX WITH SOME MINOR FRAYING/SPLITTING ON THE TOP SEAM.! THE DISC IS ALSO A VERY NICE EX AND PLAYS GREAT! GROUPS INCLUDED: 'ROYAL VICTORS', 'REGENTS', 'DENNY AND THE DUKES', 'THE VAQUEROS', 'BEL-AIRS', 'HARMONICS', 'STROLLERS', 'ROAD RUNNERS' (3rd Prize), 'JUDY AND THE BELMONTS' (2nd Prize), 'SPIEDELS' (1st Prize). 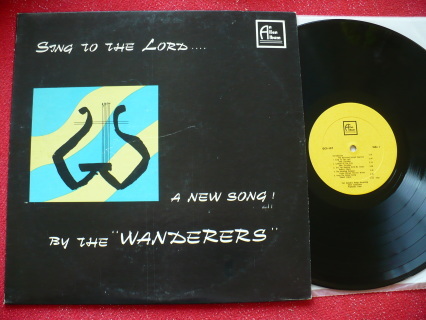 THE WANDERERS- SING TO THE LORD A NEW SONG! SUPER RARE 1968 ORIGINAL CHRISTIAN GARAGE LP IN TOP KEEPER CONDITION! THE COVER IS EX, NO SEAM SPLITS OR WRITING! THE DISC IS A CLEAN EX+, VERY CLOSE TO MY TOP M- GRADE, AND IT PLAYS BEAUTIFULLY! NEAR IMPOSSIBLE TO FIND CONNECTICUT CHRISTIAN GARAGE BAND. SIDE ONE CONTAINS CHRISTIAN SONGS INCLUDING TWO JOHN YLVISAKER TRACKS. 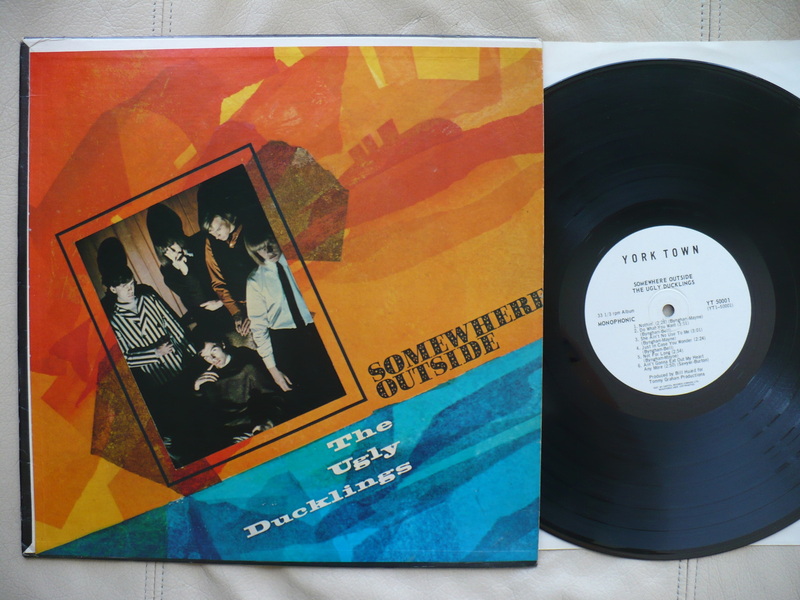 SIDE TWO HAS NICE GARAGE COVERS OF FIRE, TESTIFY AND KNOCK ON WOOD PLUS AN AMAZING NINE MINUTE ORIGINAL TRACK "BSRS" WHICH SOUNDS A BIT LIKE EARLY COUNTRY JOE & THE FISH! TOP COPY! RARE 1964 ORIGINAL MONO SURF/HOT ROD LP ON THE WYNCOTE LABEL...STILL SEALED! 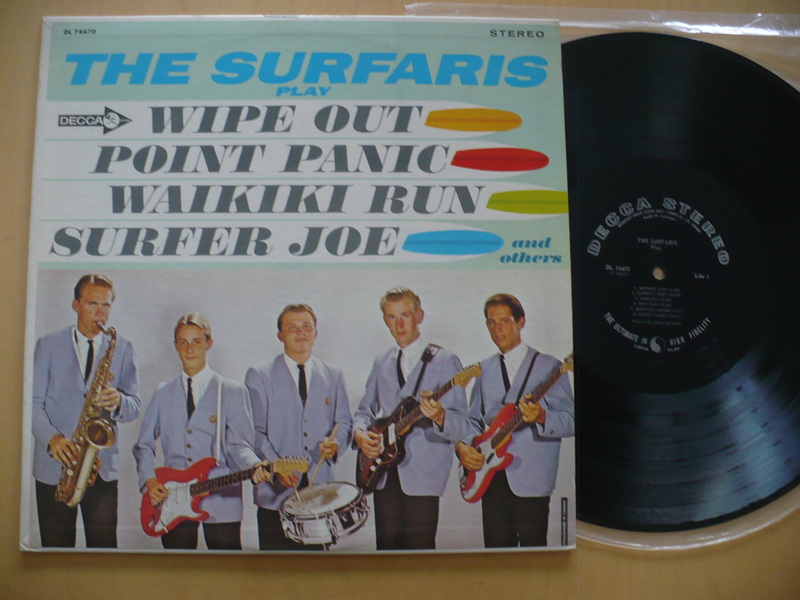 SOME VERY GOOD EARLY 60'S SURF/HOT ROD MUSIC AND TO FIND THIS STILL SEALED AT THIS POINT IS VERY RARE!